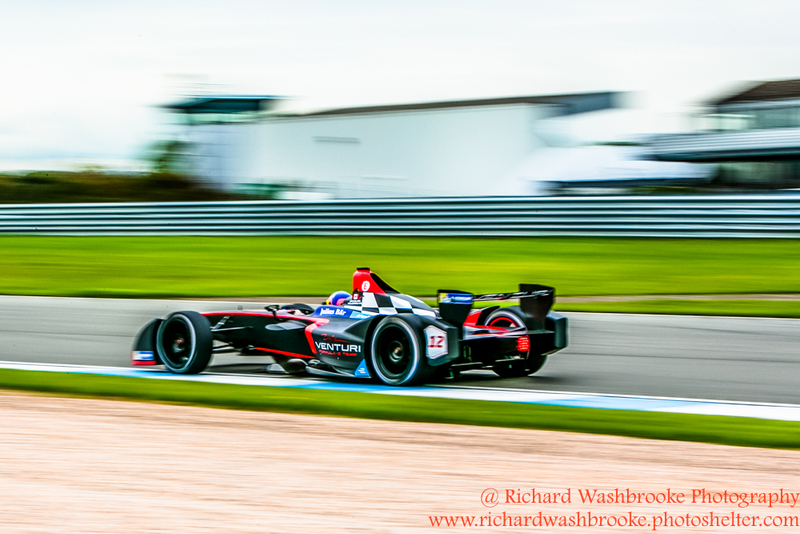 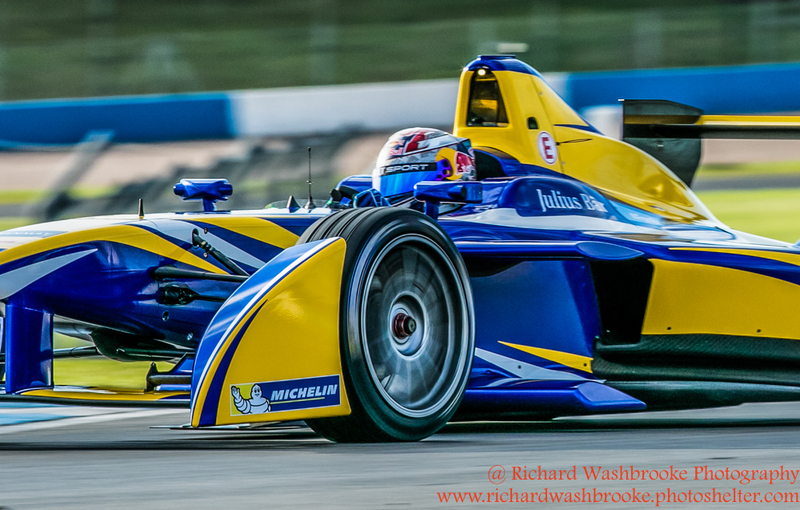 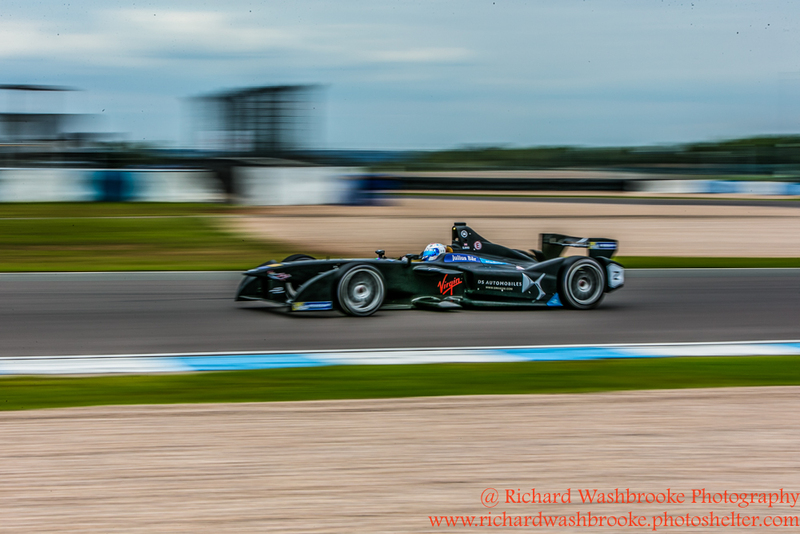 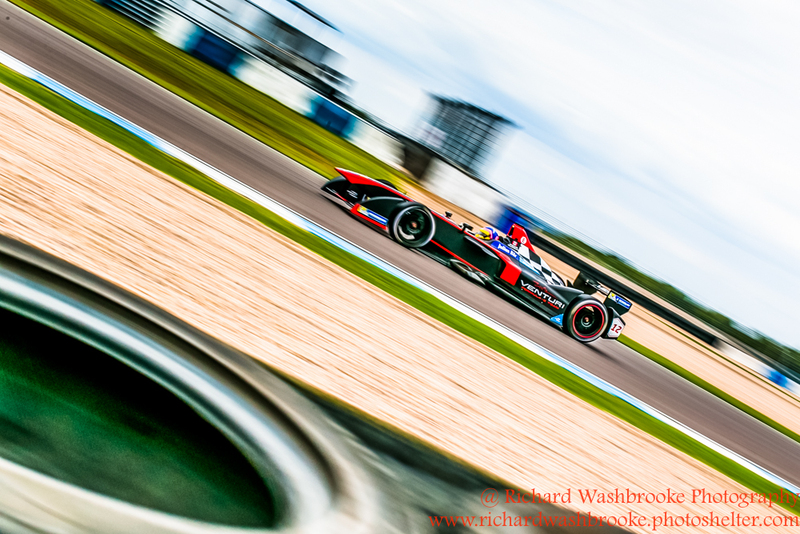 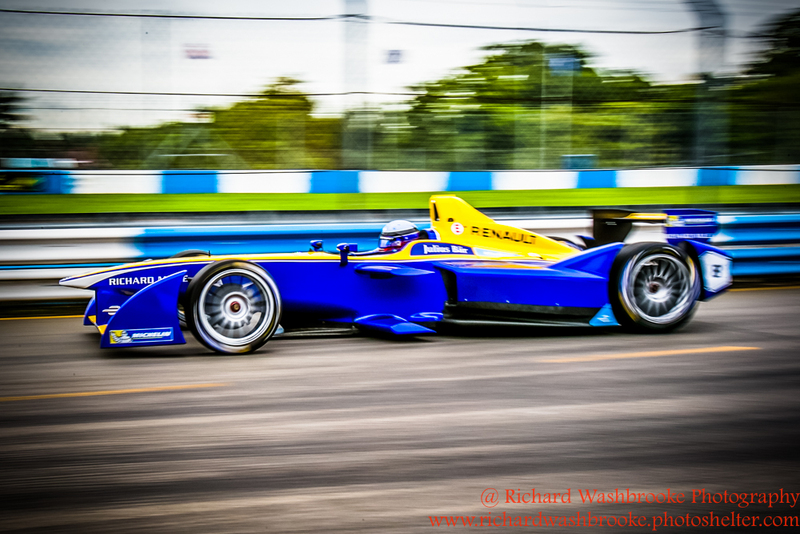 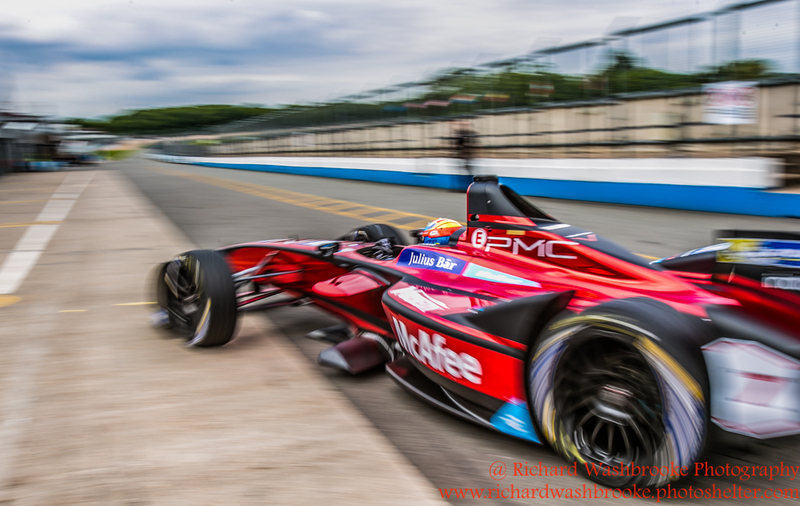 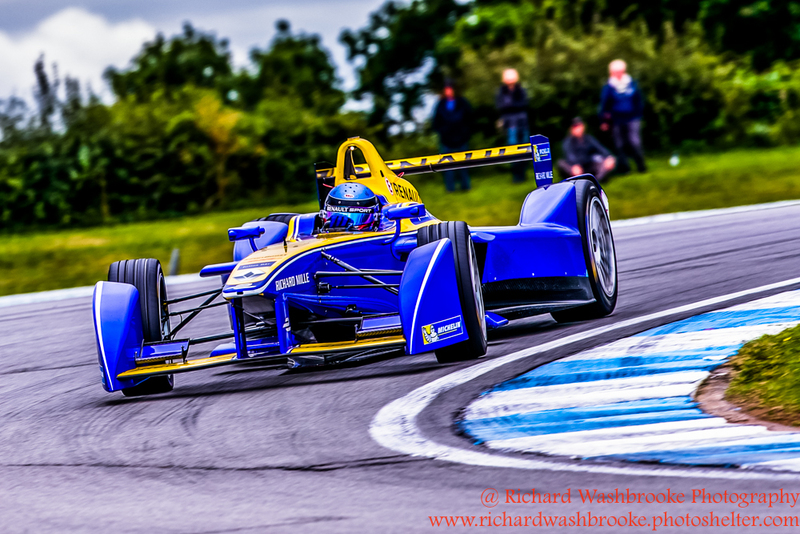 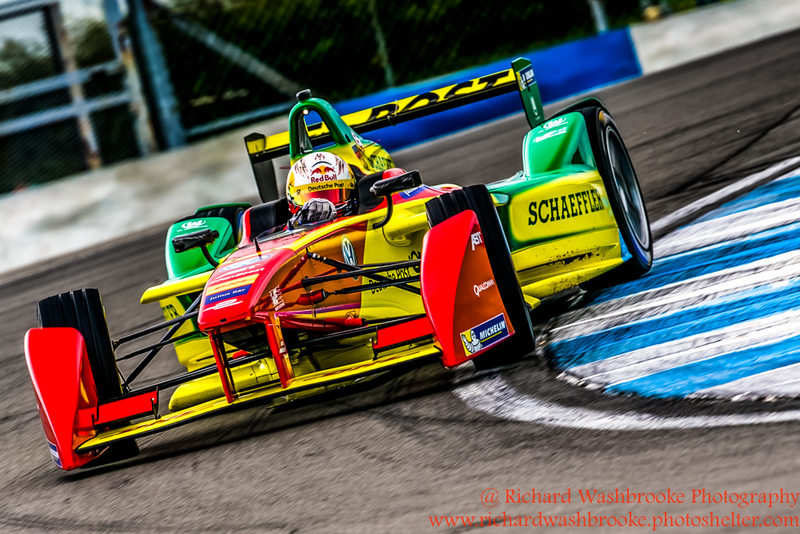 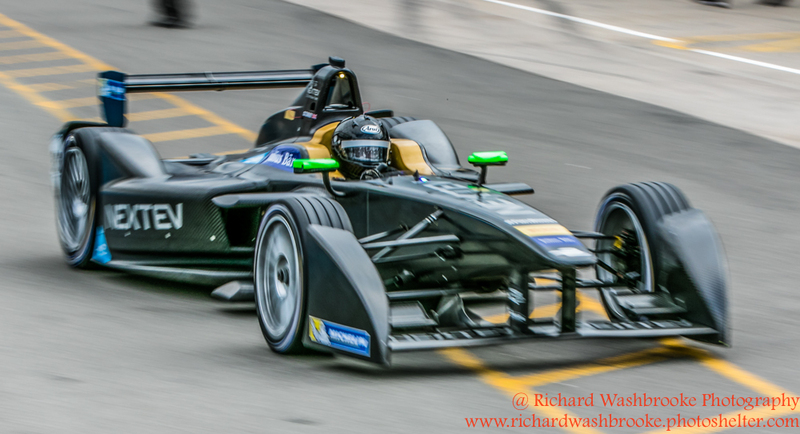 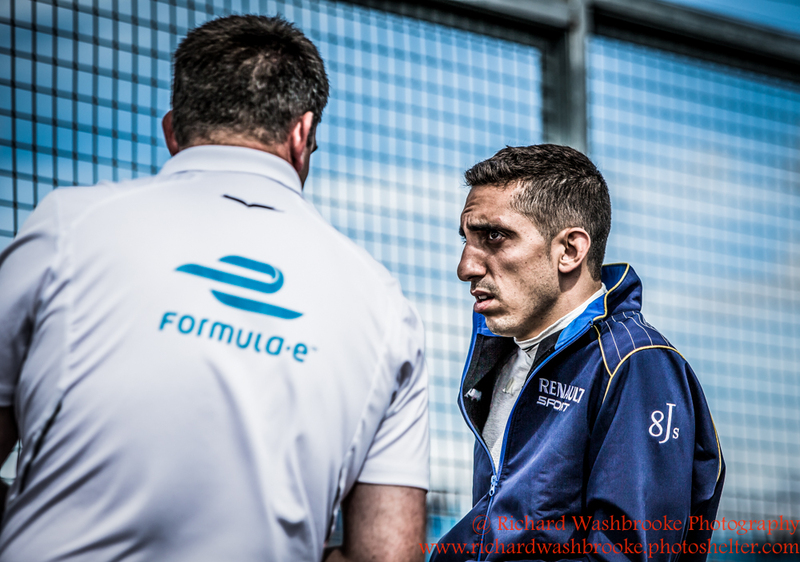 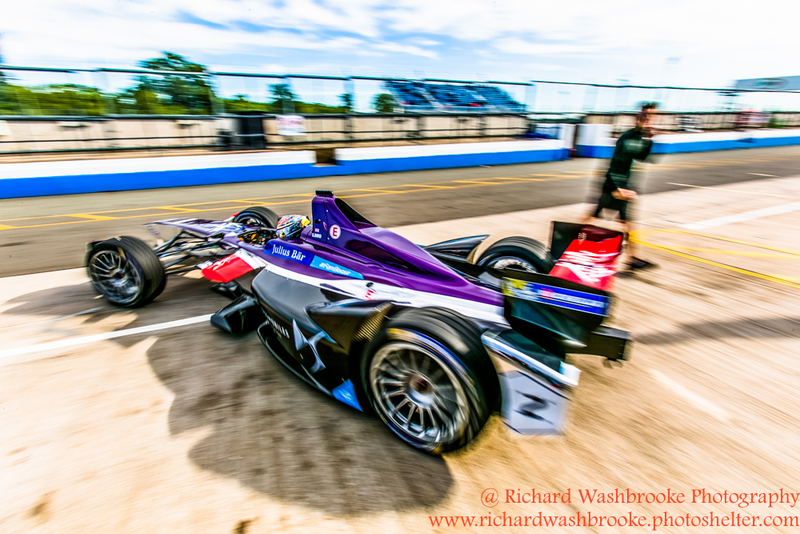 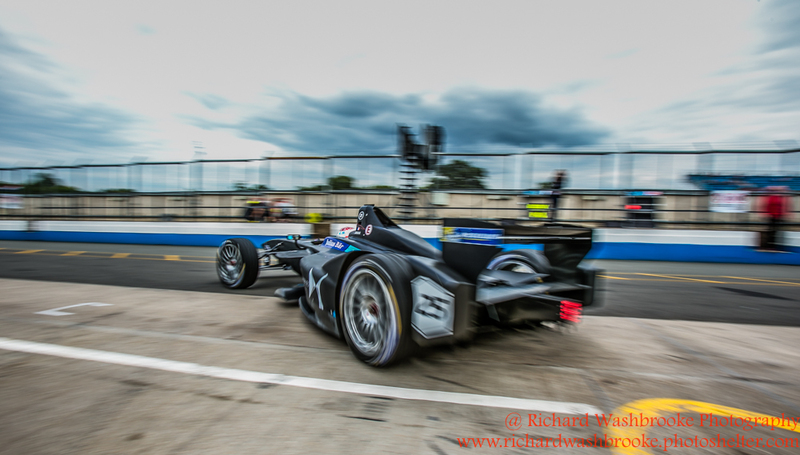 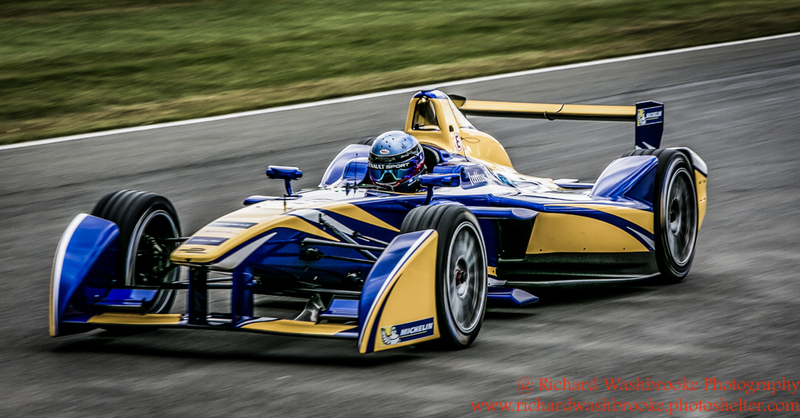 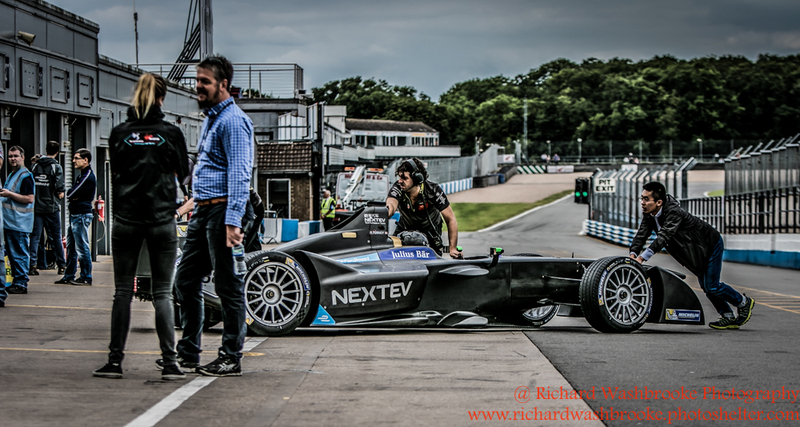 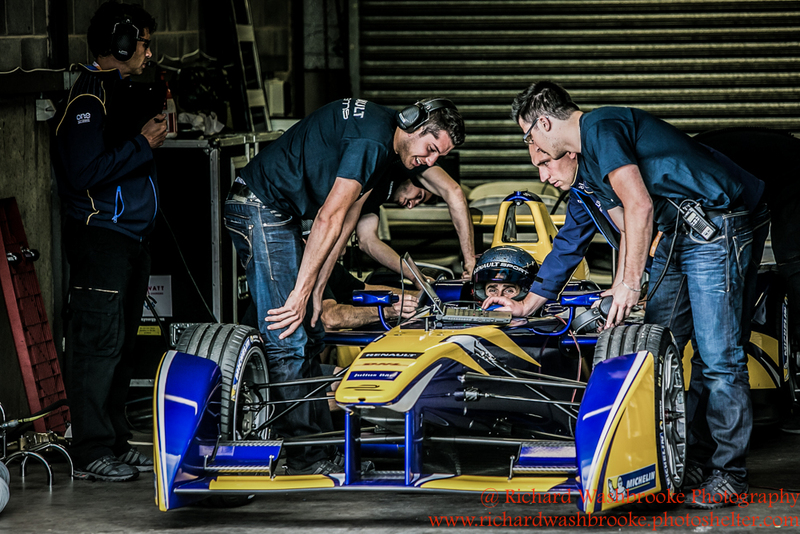 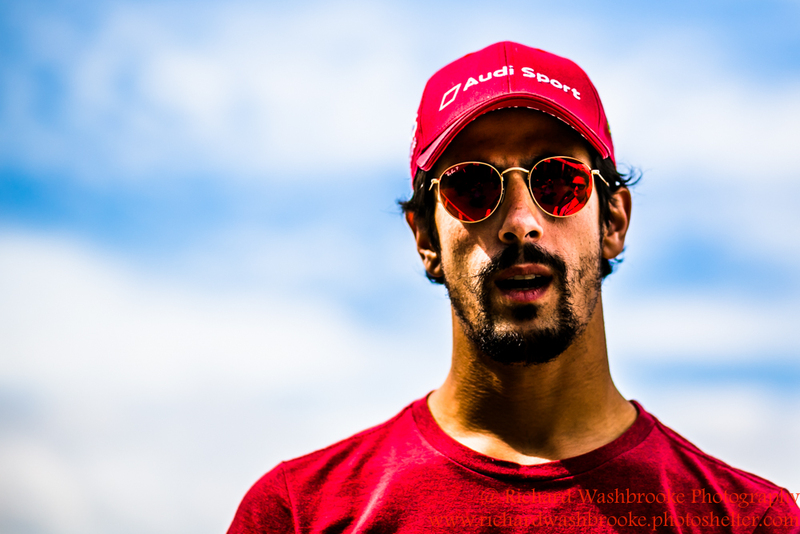 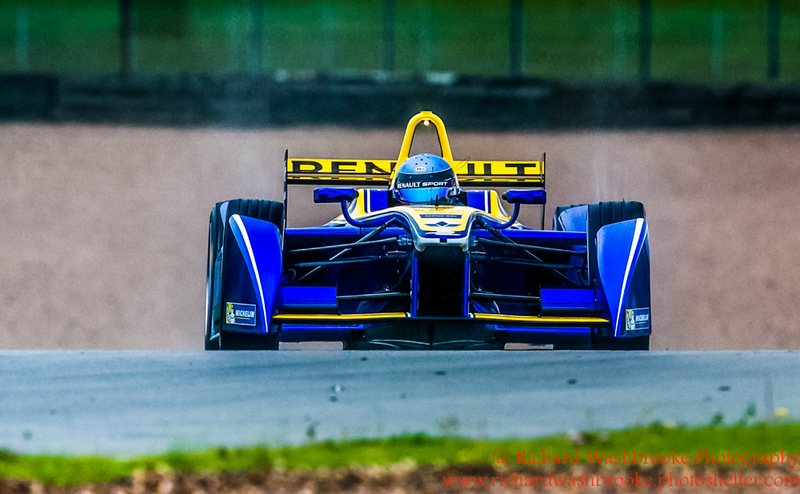 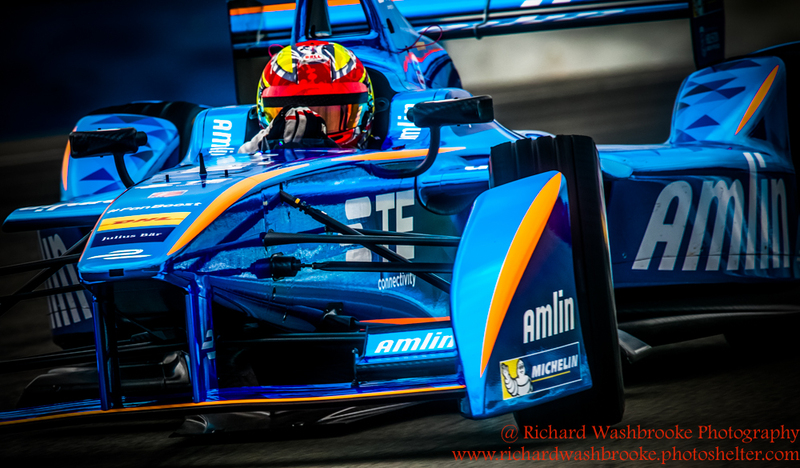 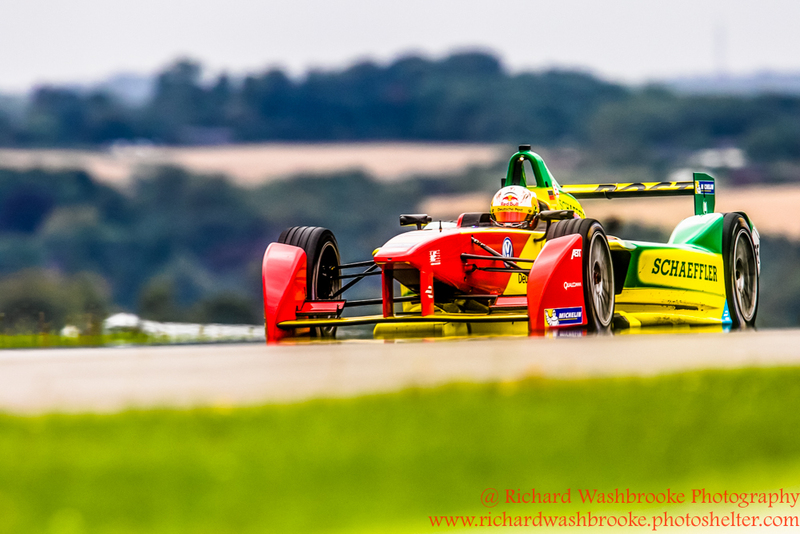 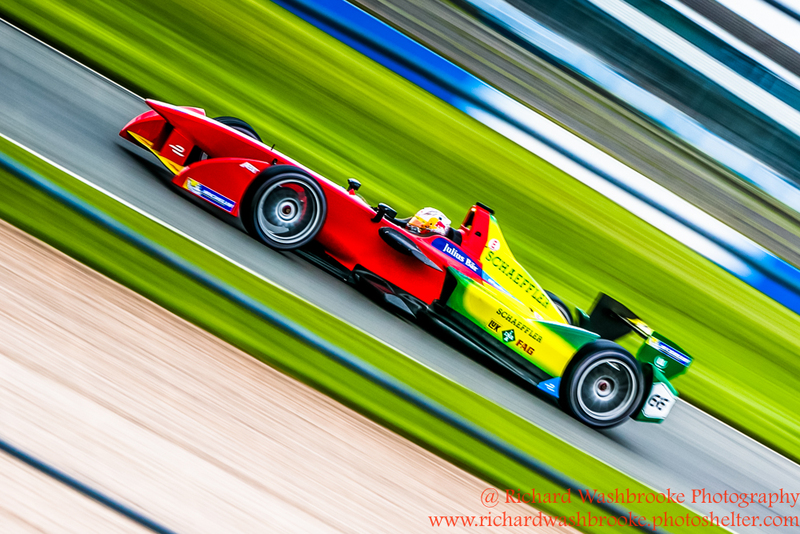 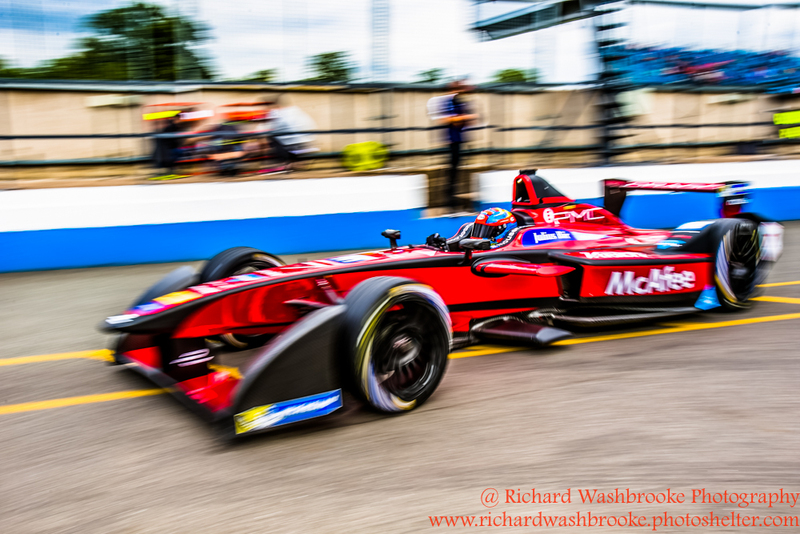 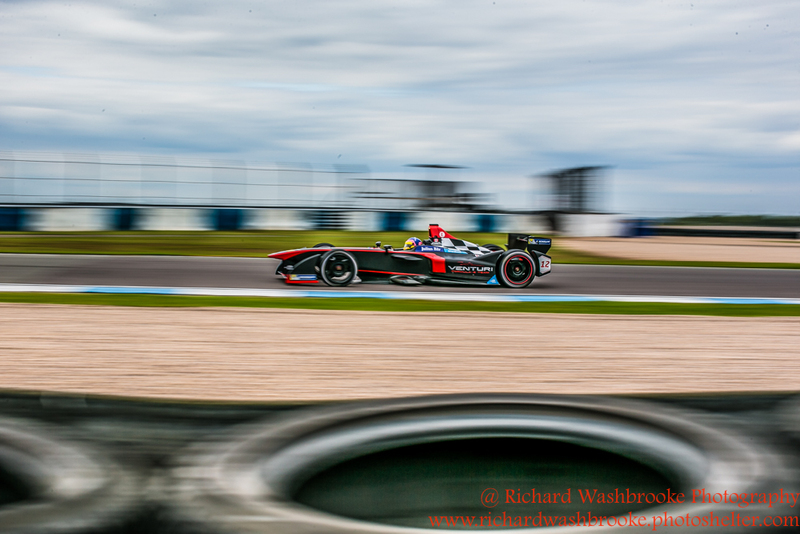 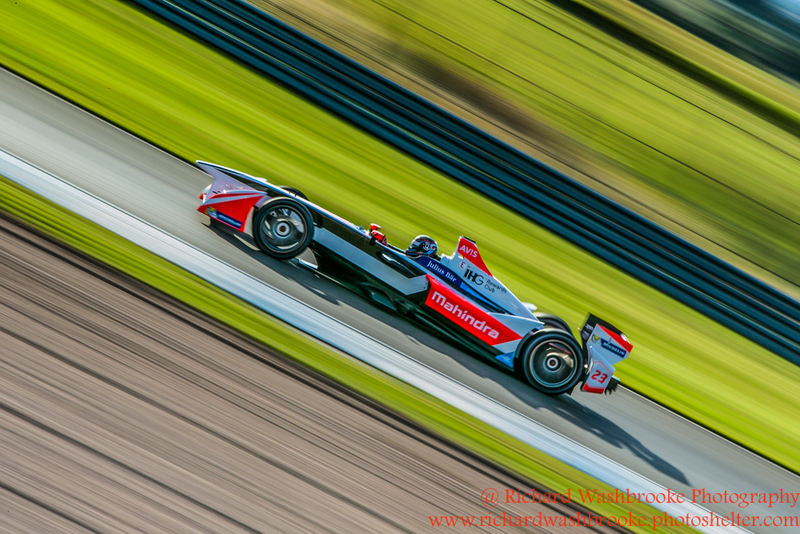 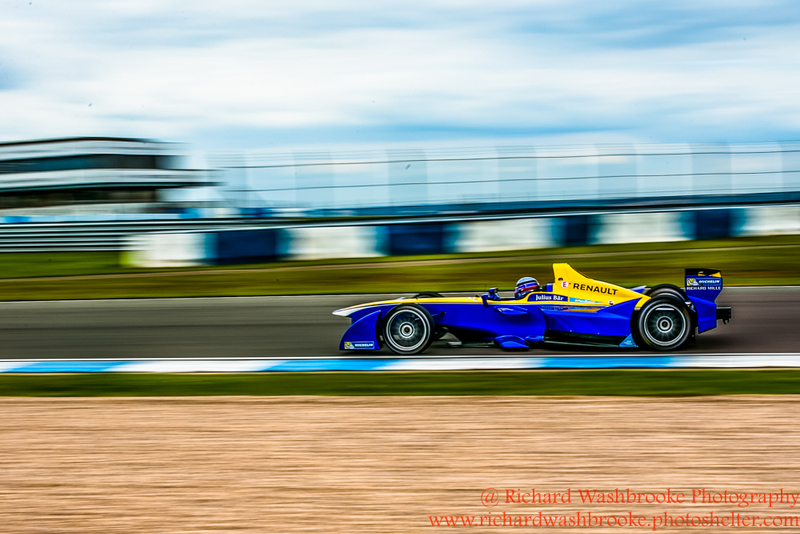 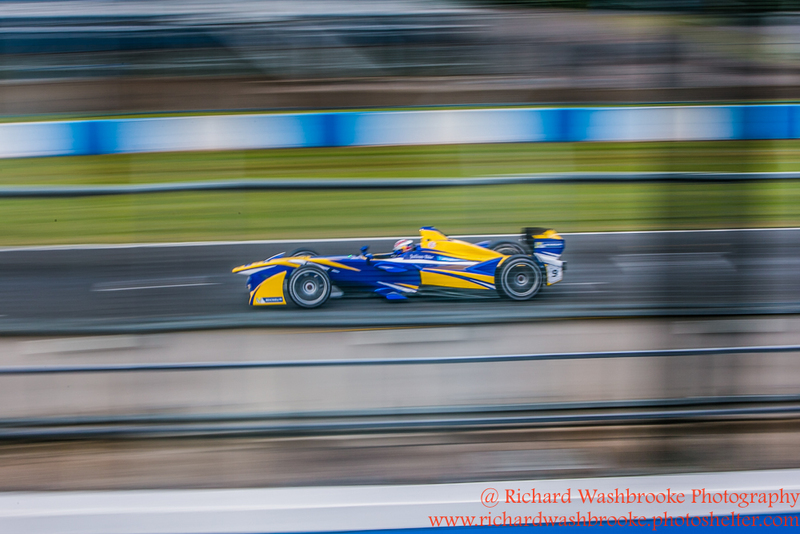 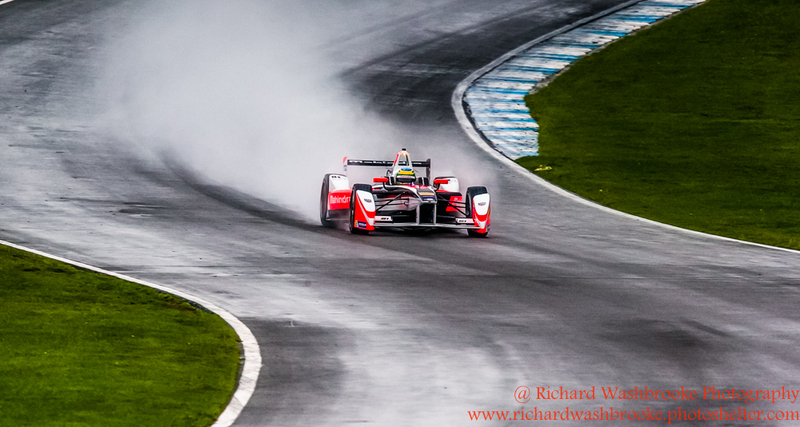 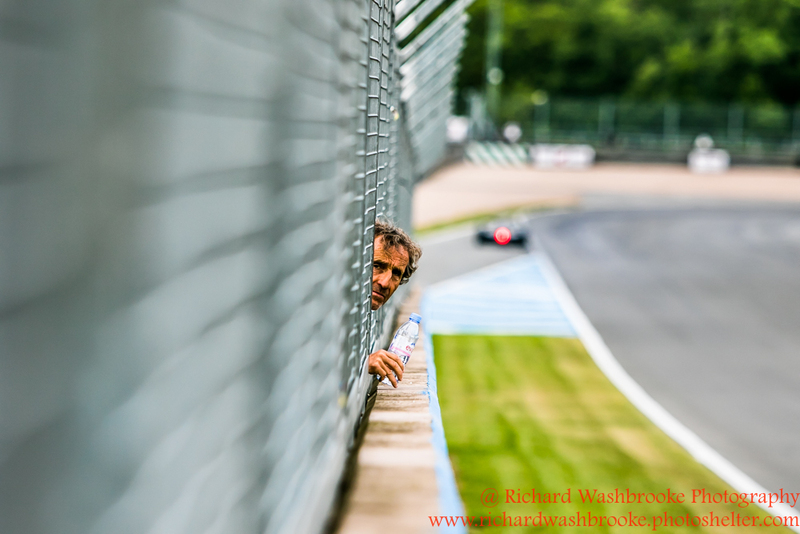 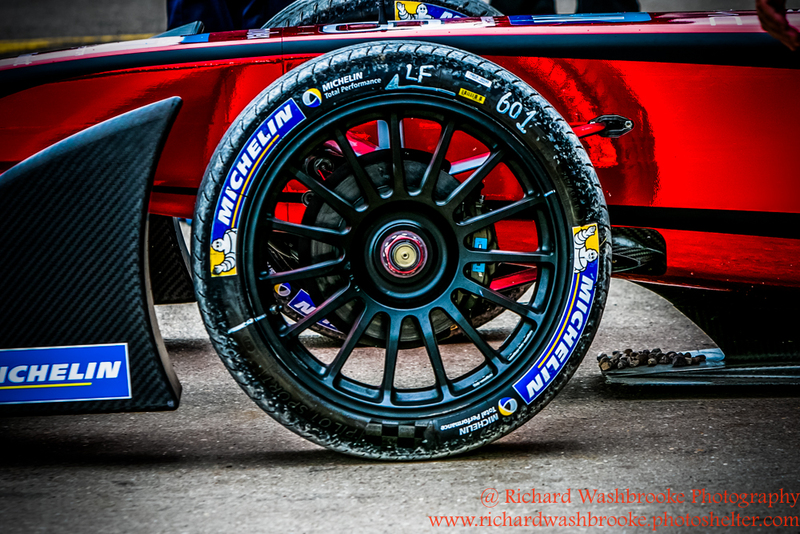 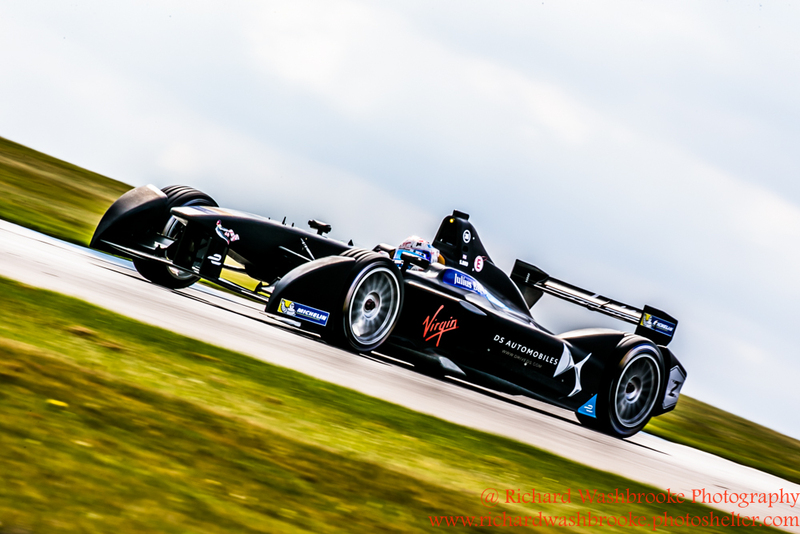 The chance to follow the Formula E teams test days at Donington Park submitting images to e-Racing Magazine was too good to miss. 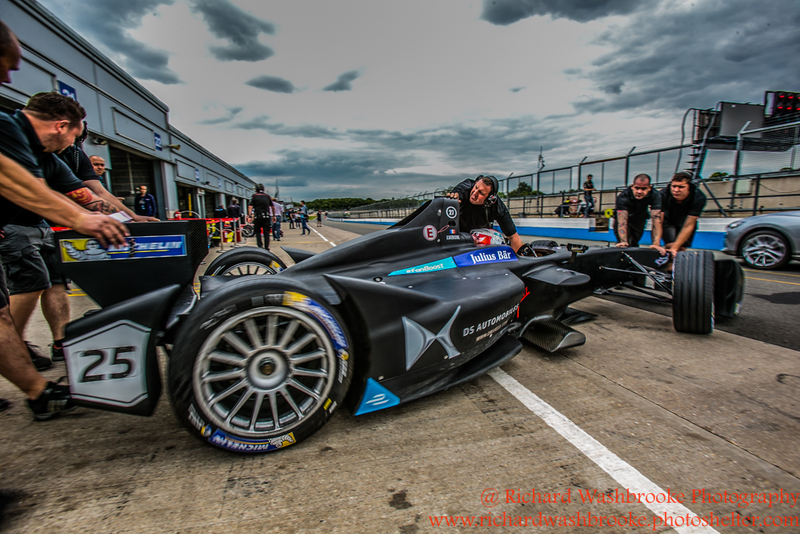 The teams are based at Donington so it was good to meet the teams and the people who get these machines running. 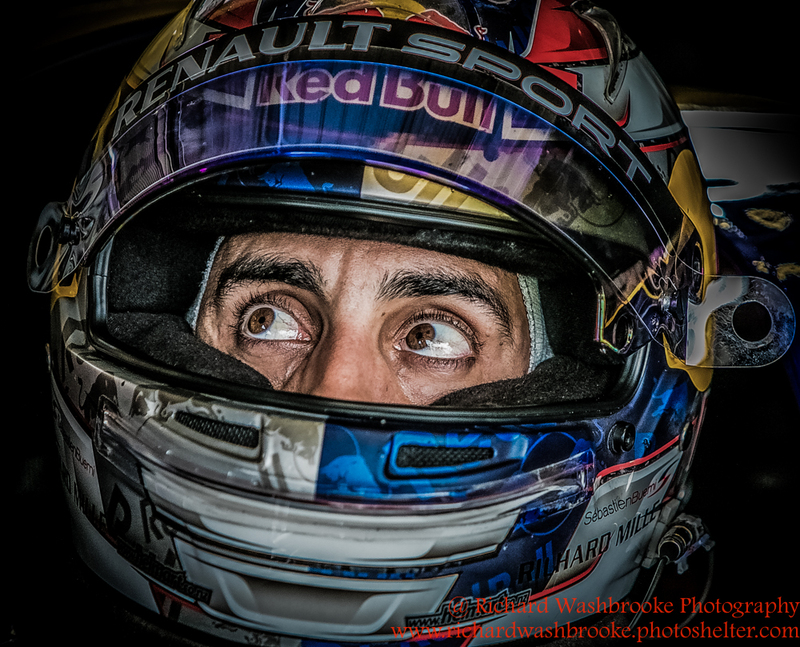 This is the second season for this series and its gaining popularity. 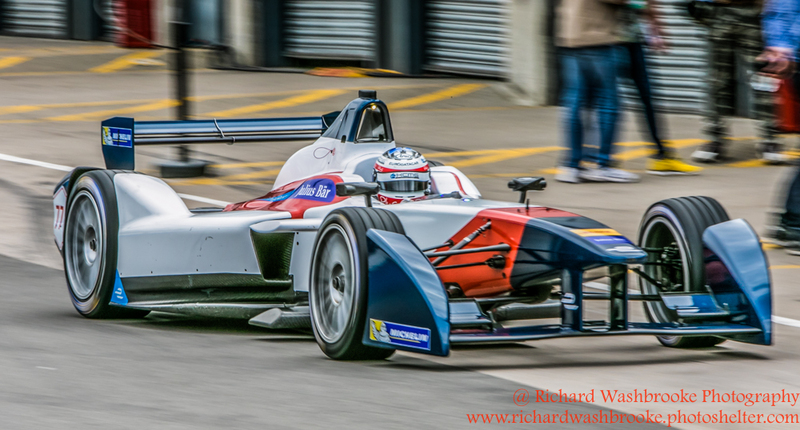 Racing round street circuits were the fans are able to see the action up close. 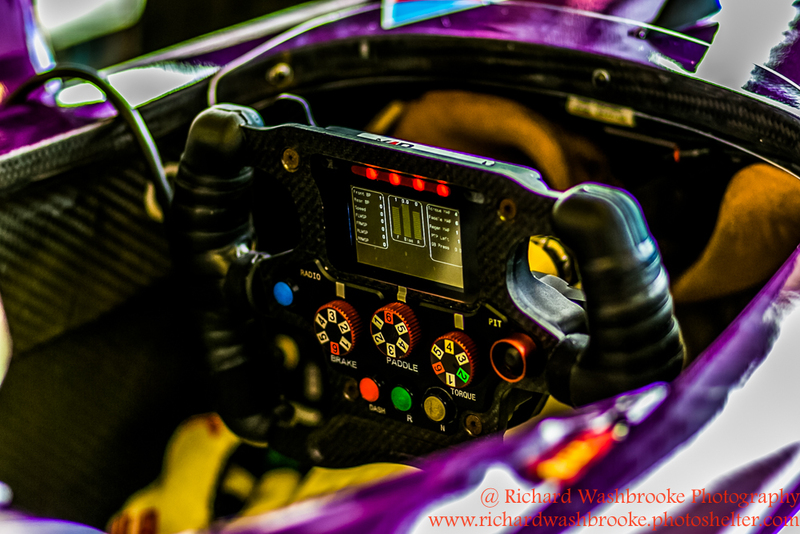 The teams this season have designed their own power units and the teams are very careful about what they have on show. 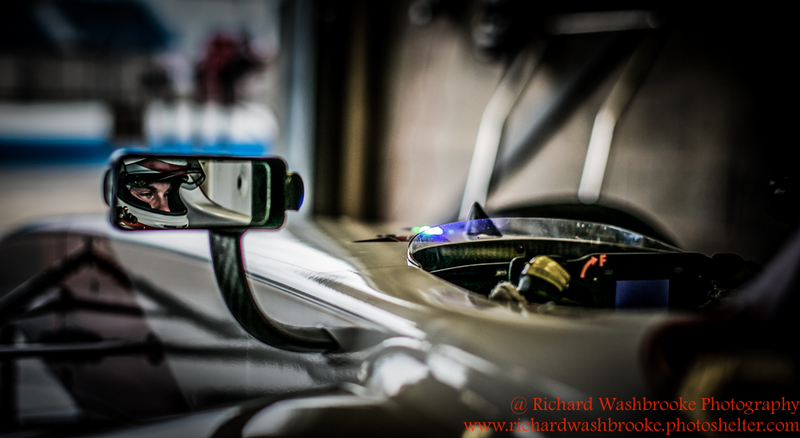 For me its simple don’t photograph the secret bits as you won’t be welcome back into the garage next time. 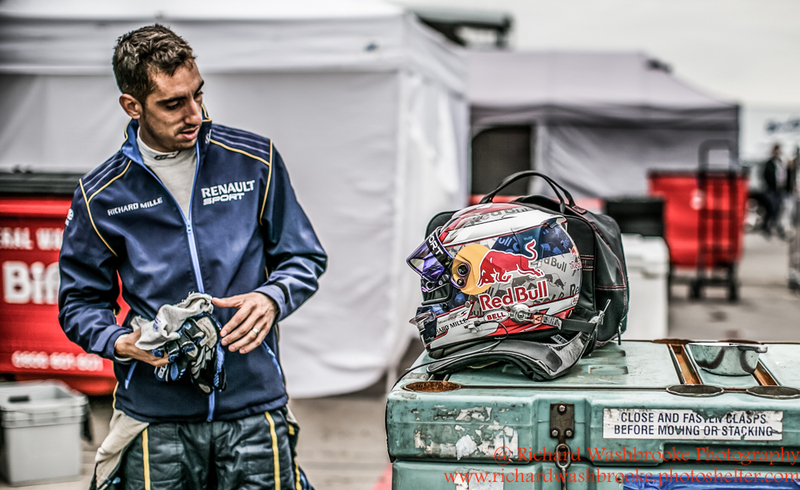 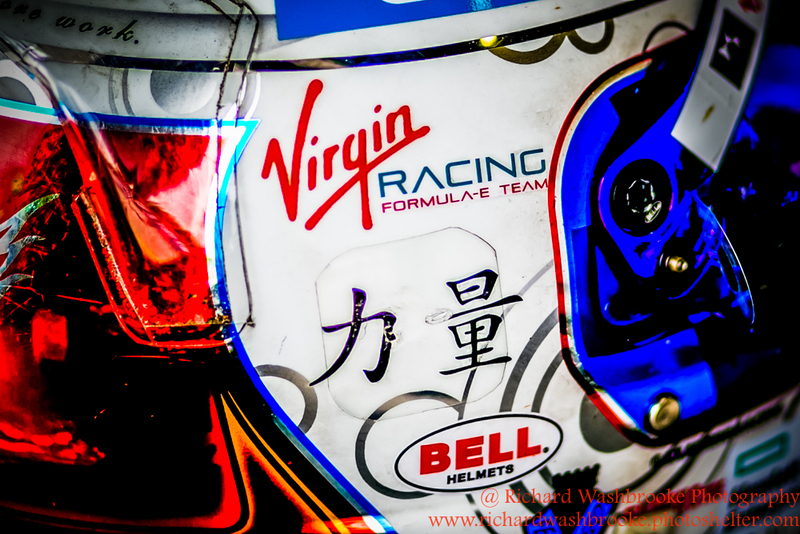 I’m looking forward to the series starting with the first race Beijing. 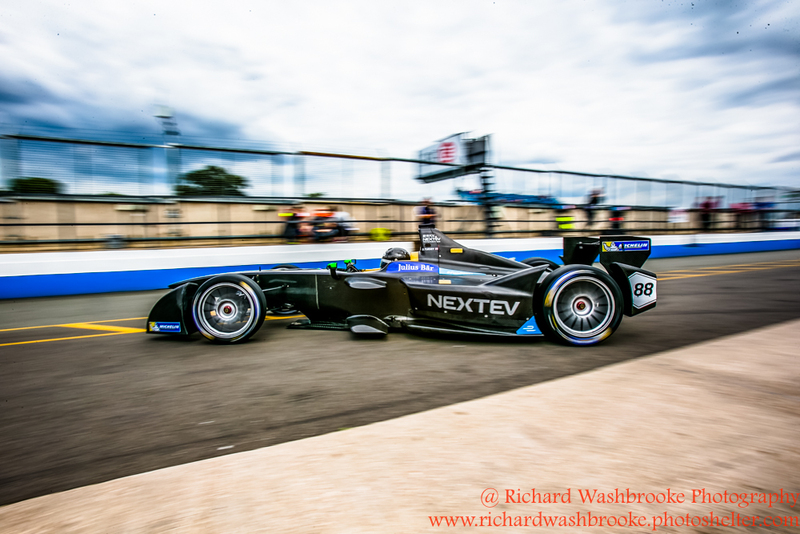 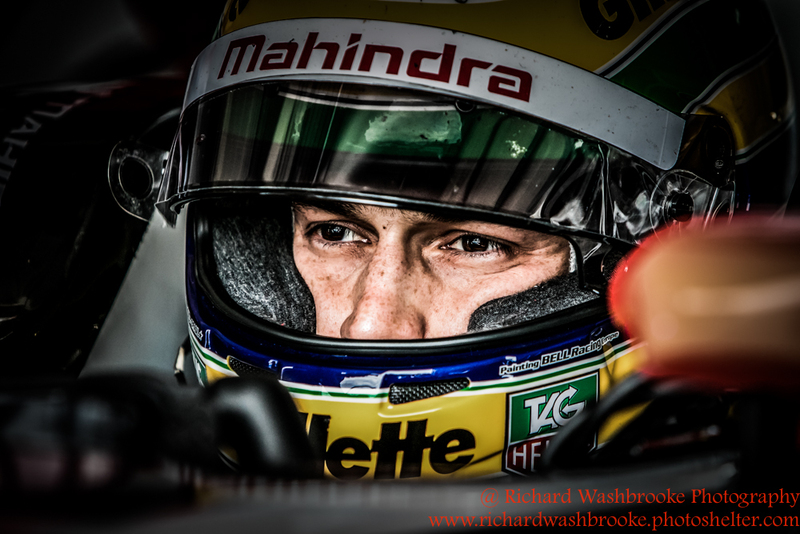 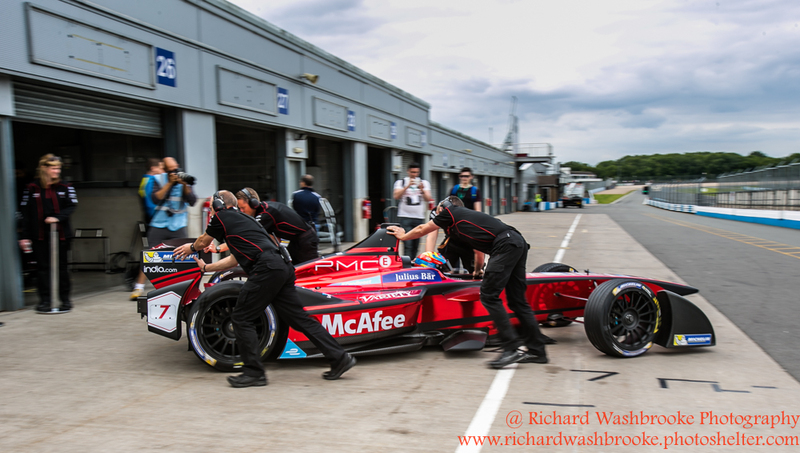 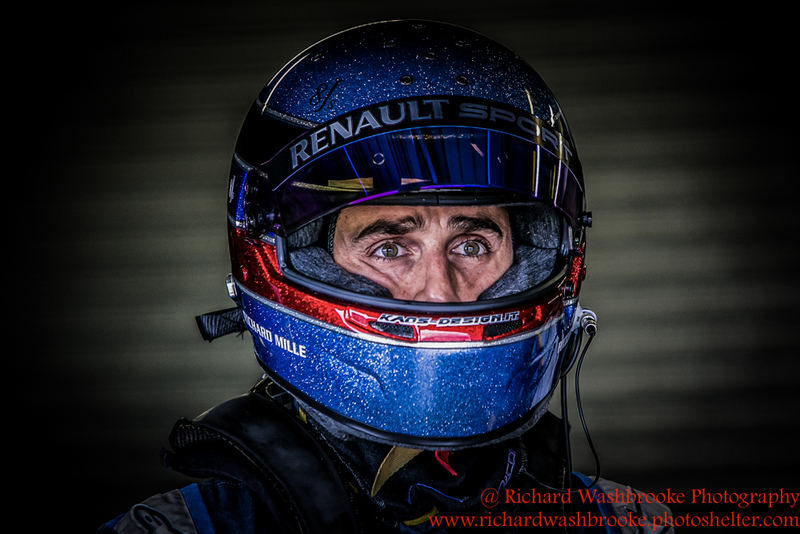 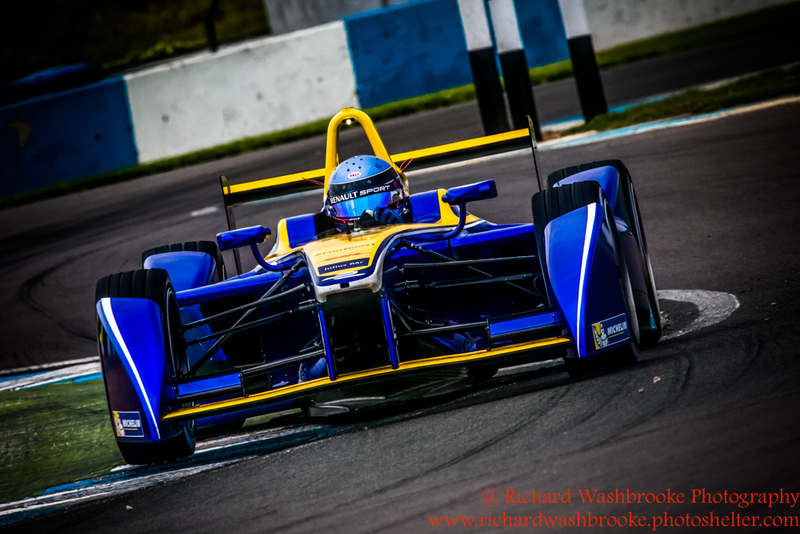 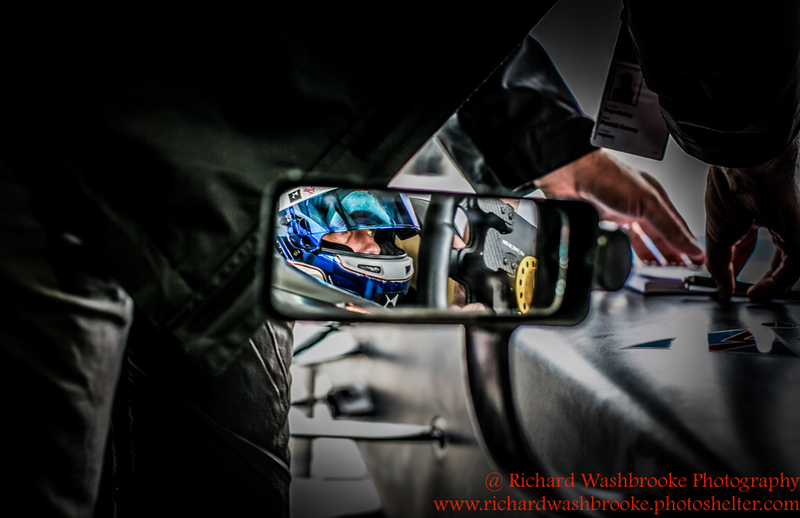 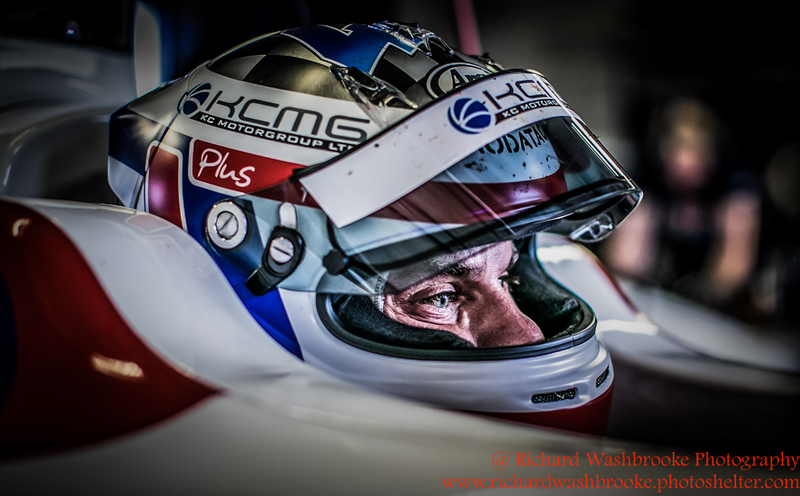 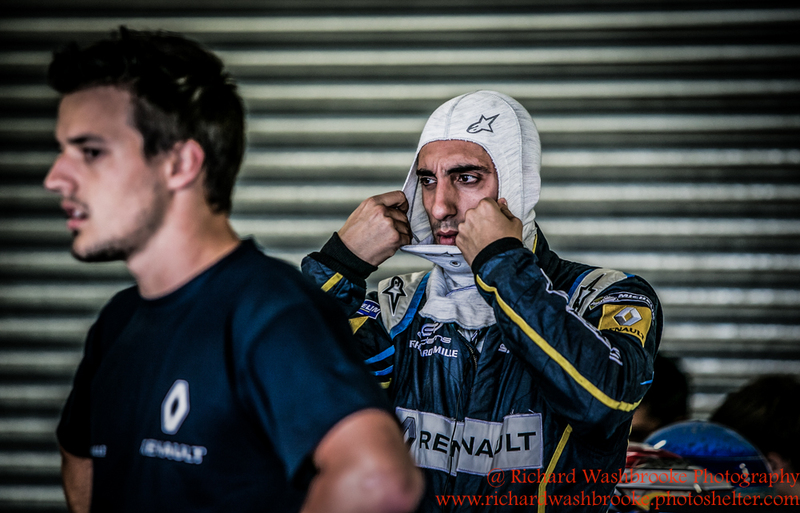 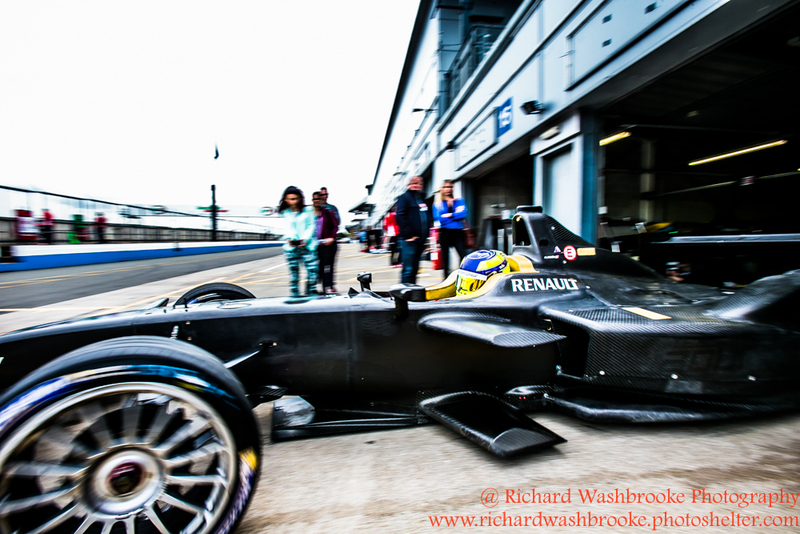 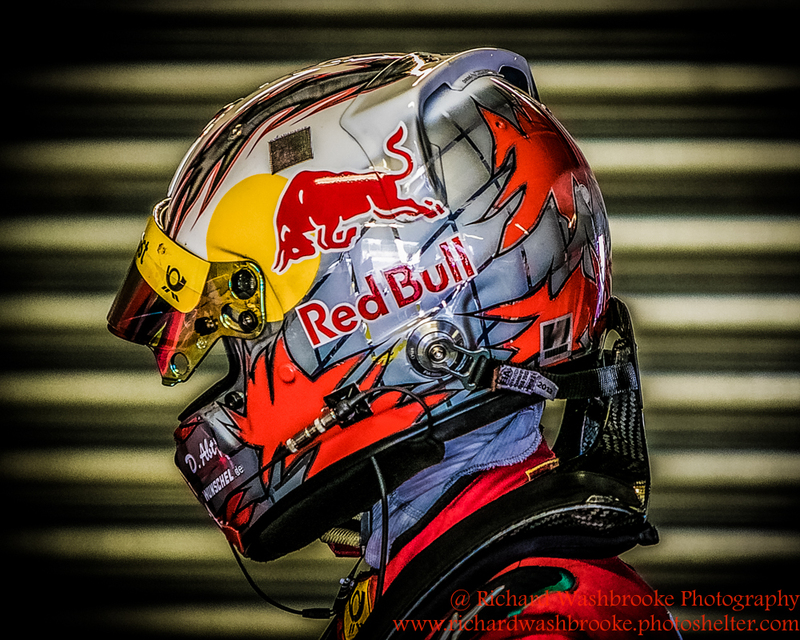 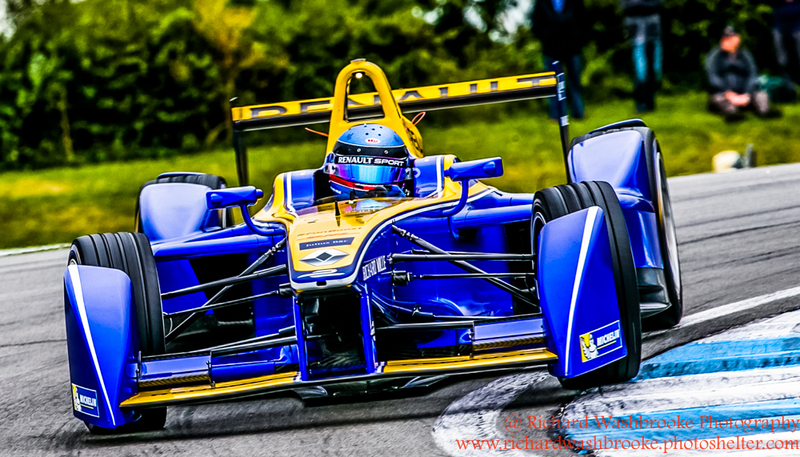 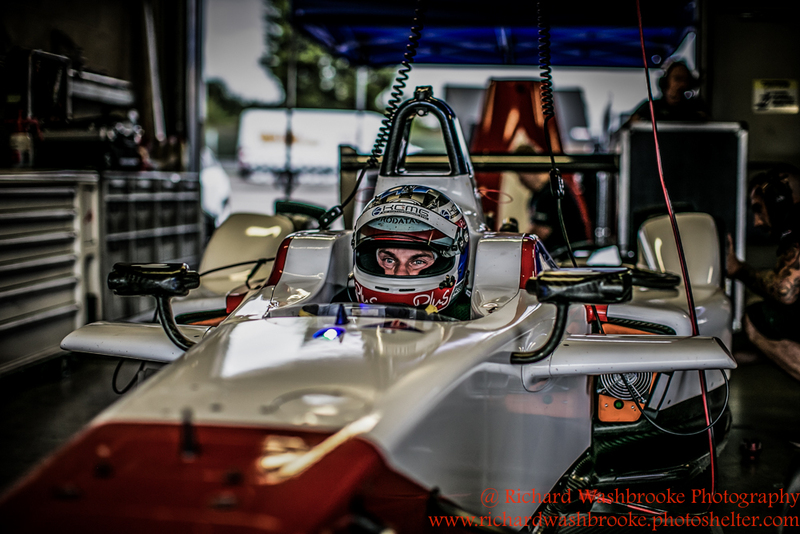 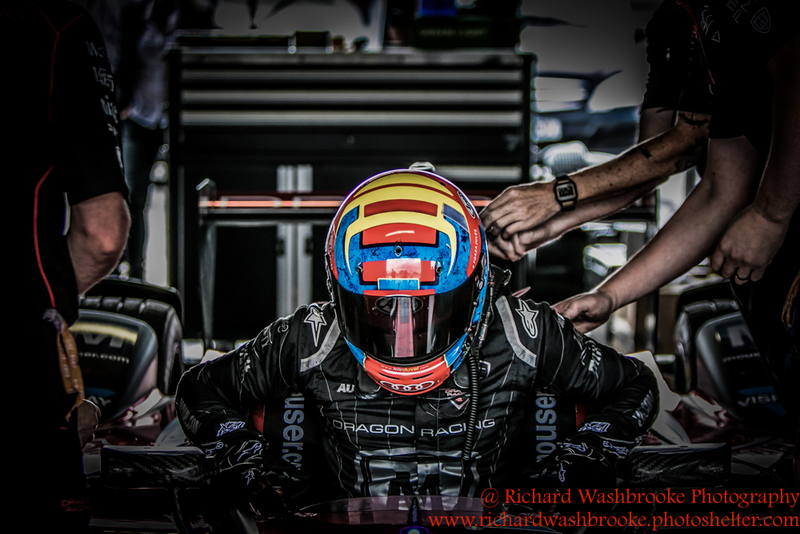 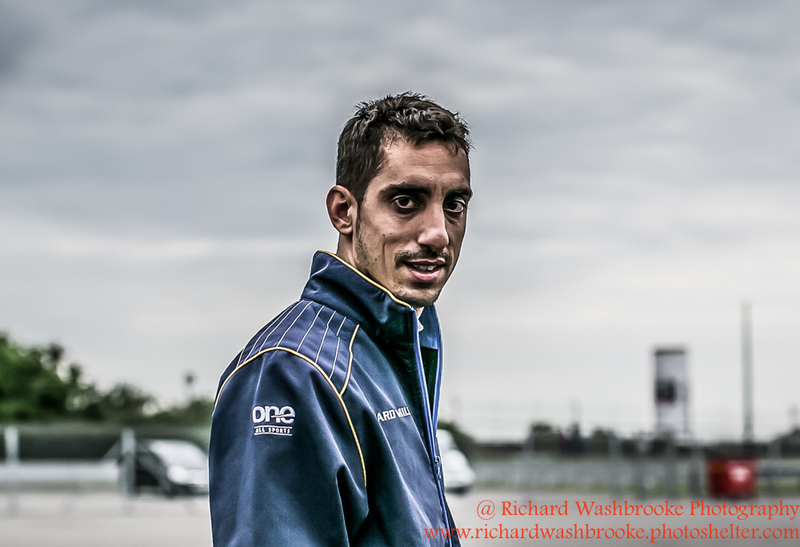 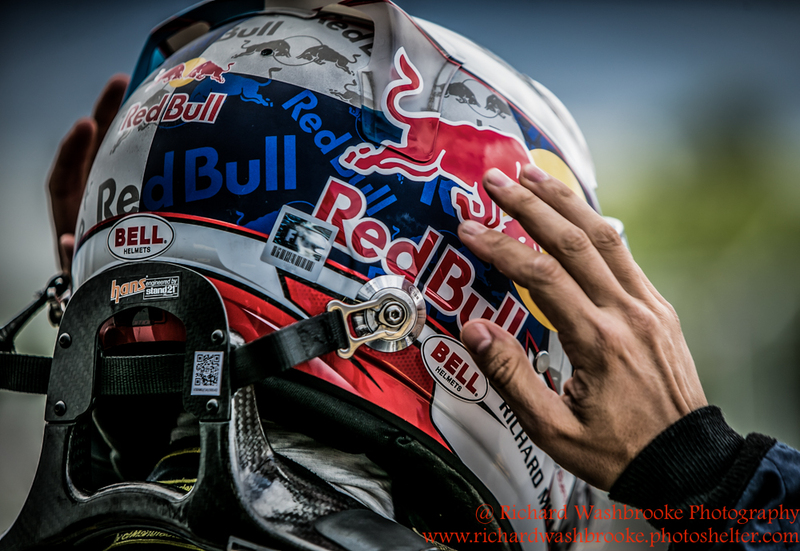 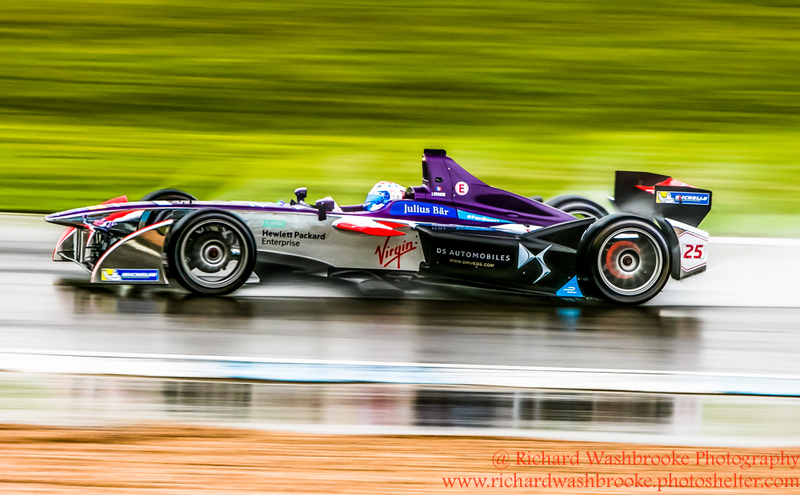 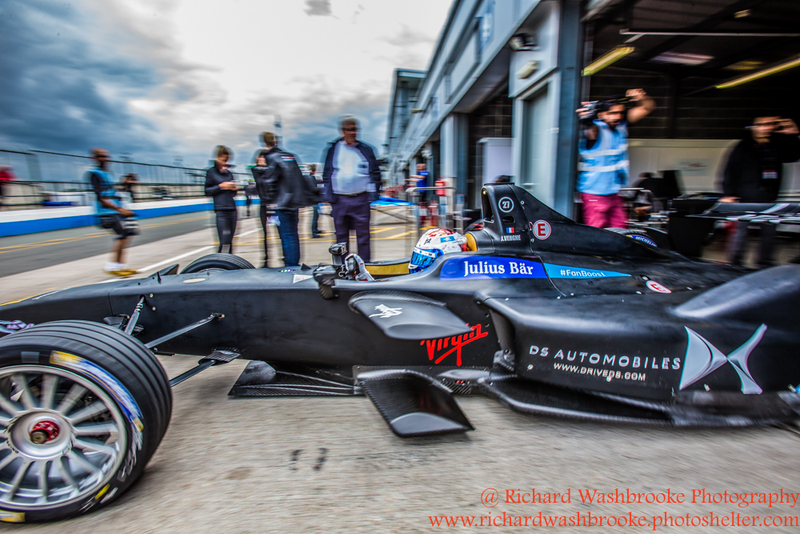 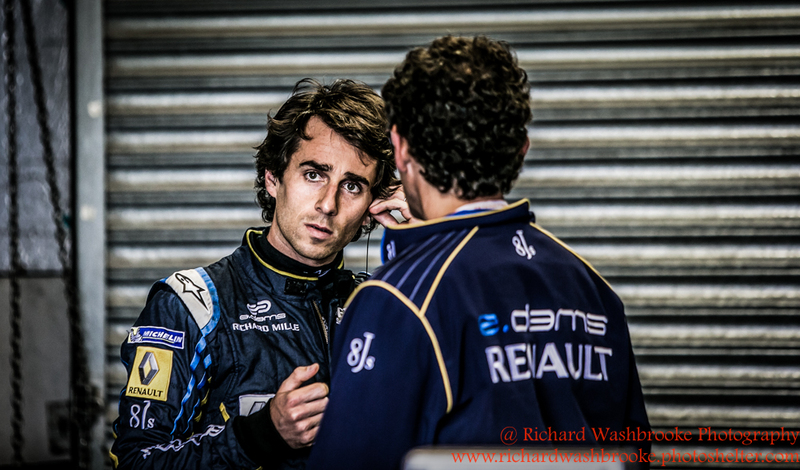 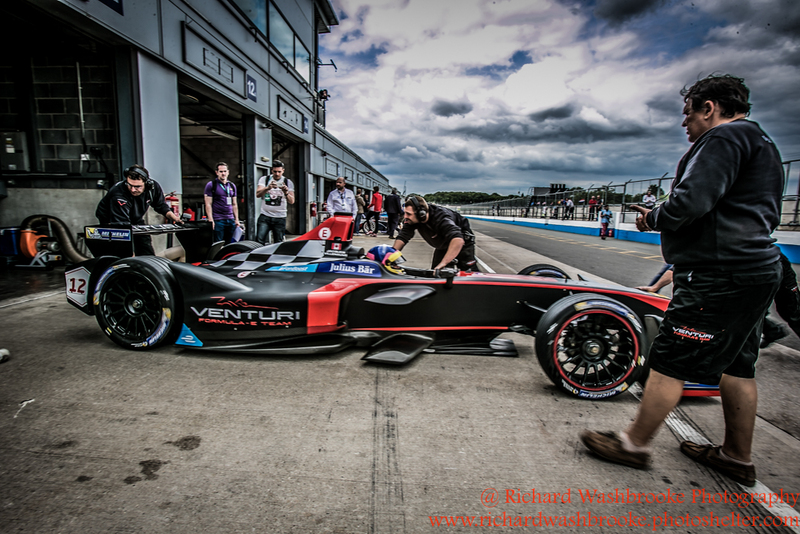 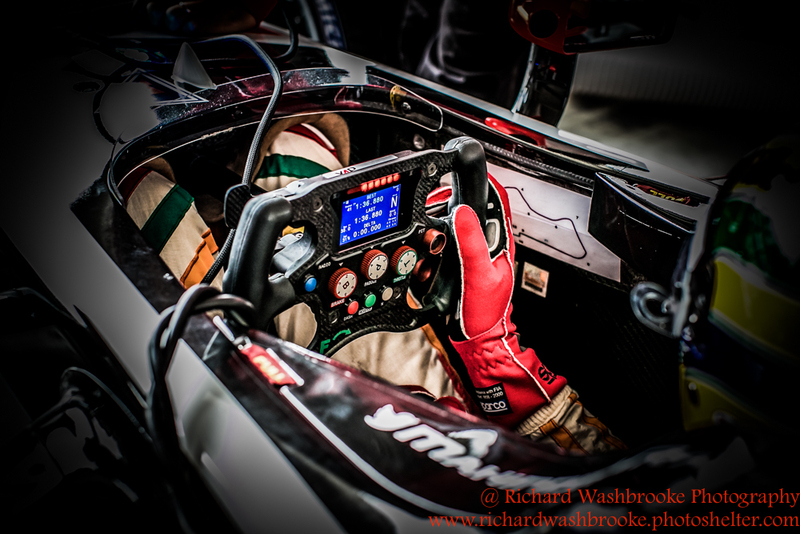 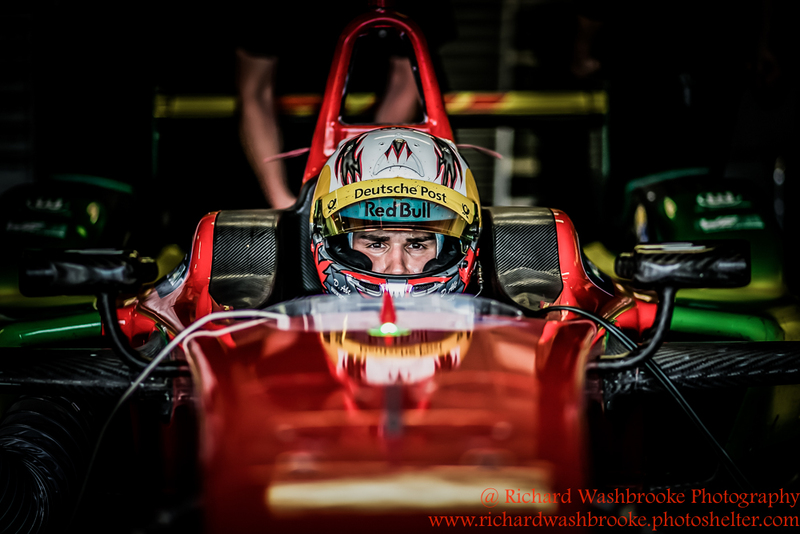 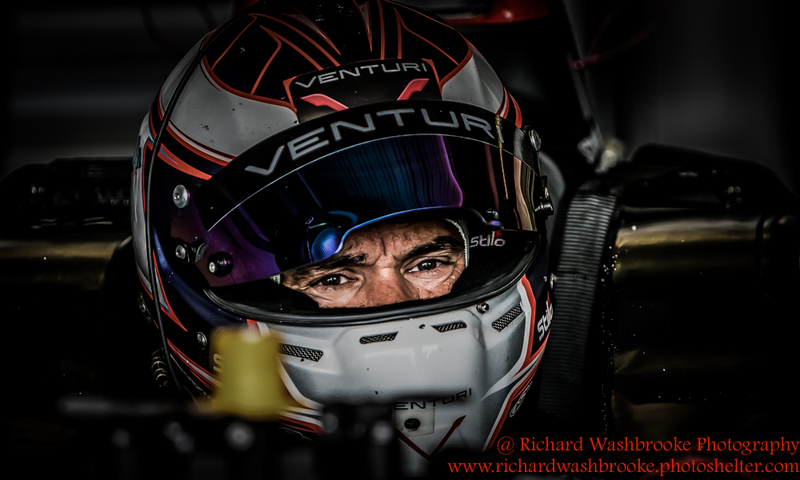 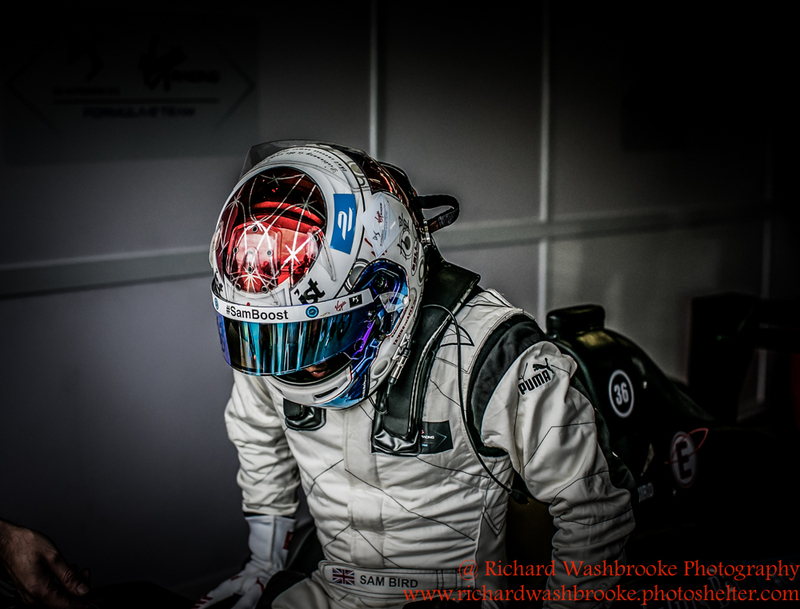 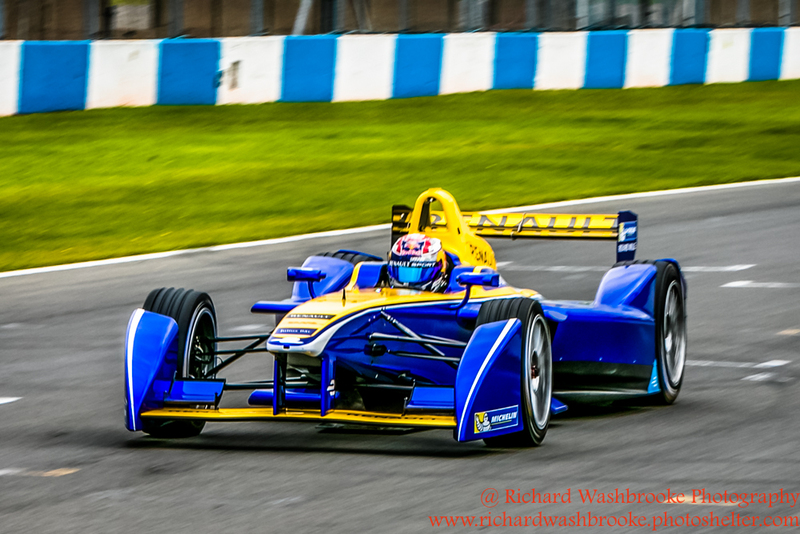 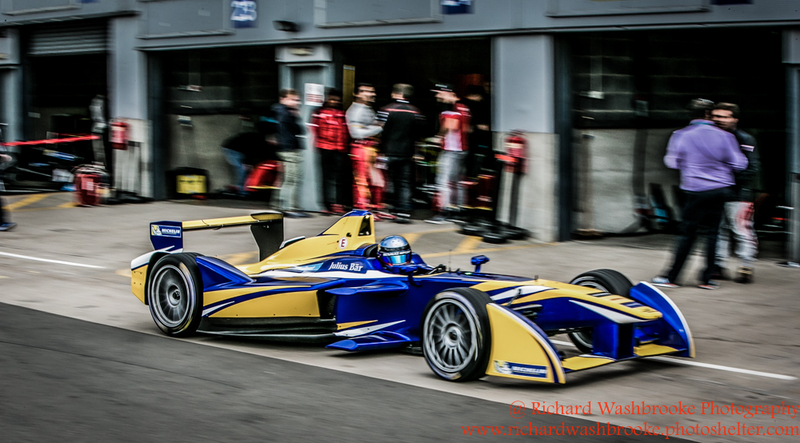 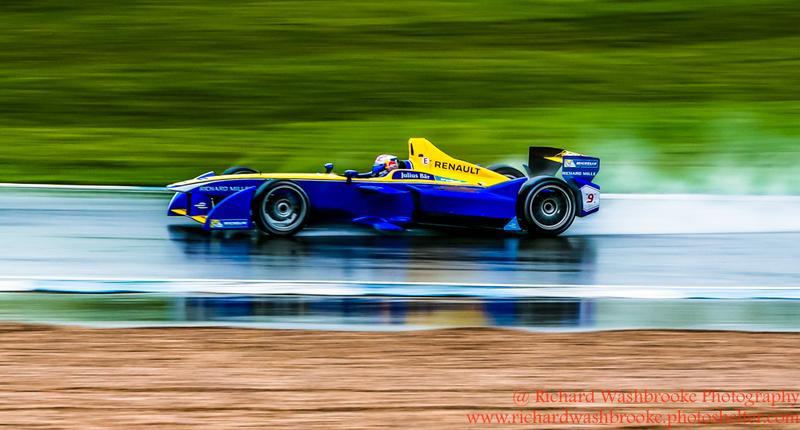 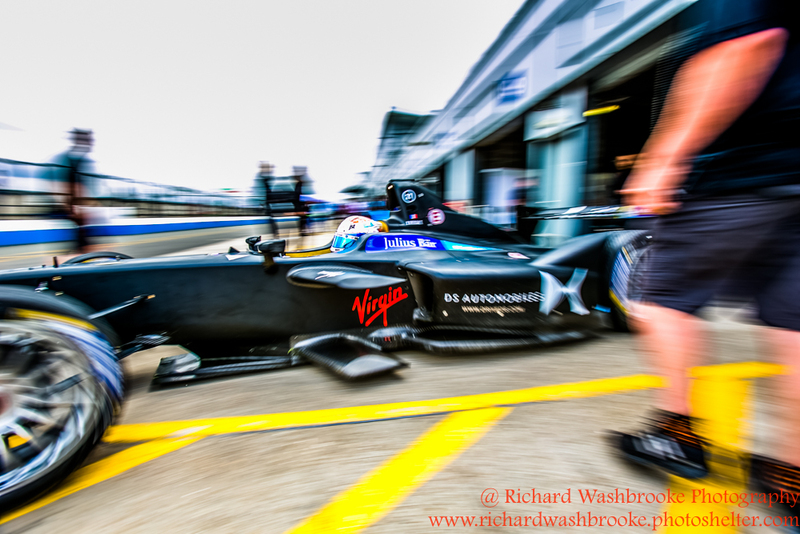 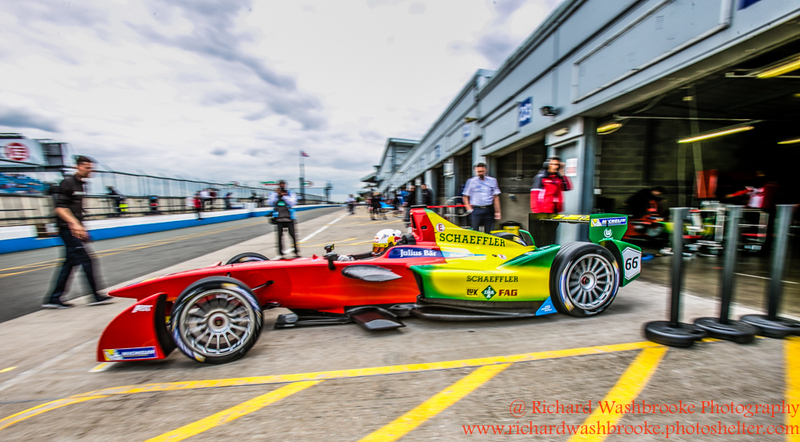 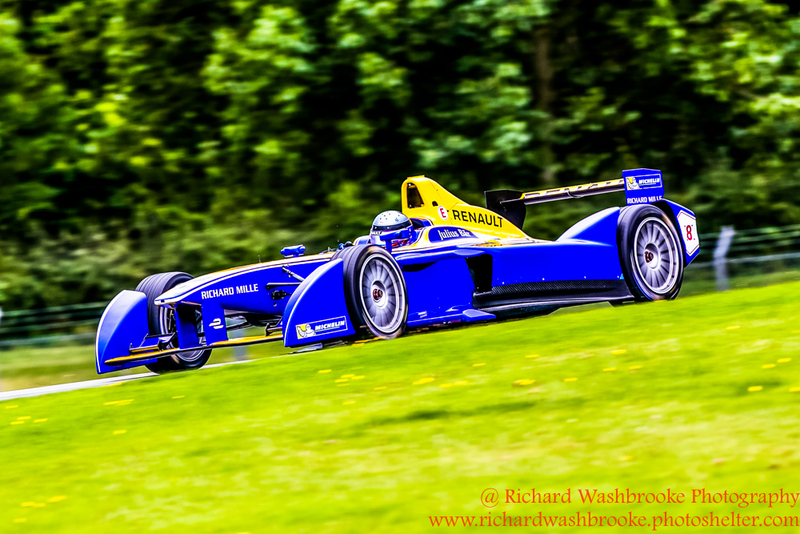 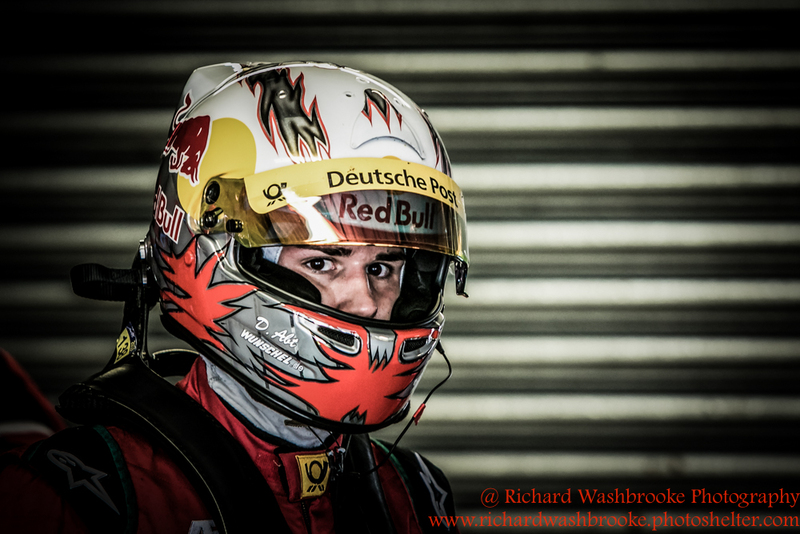 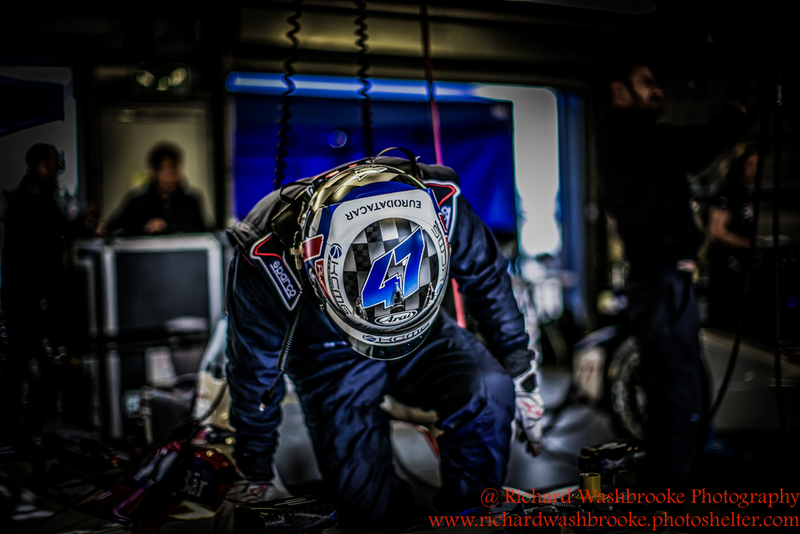 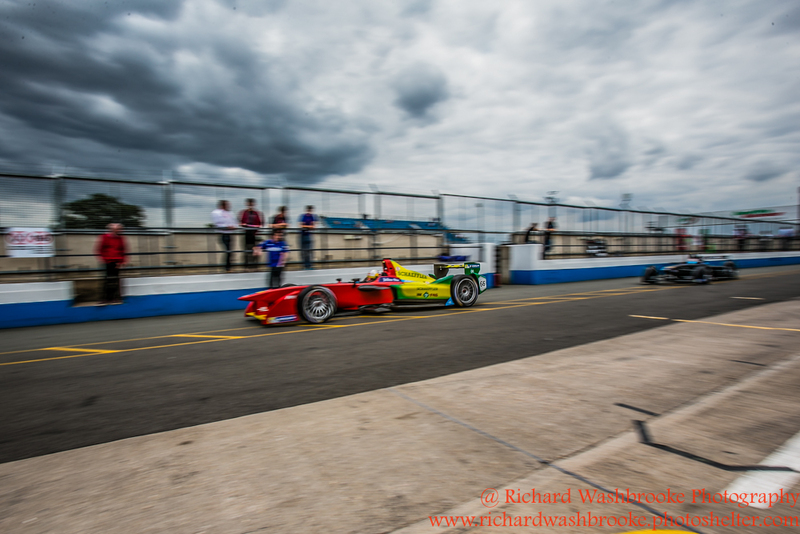 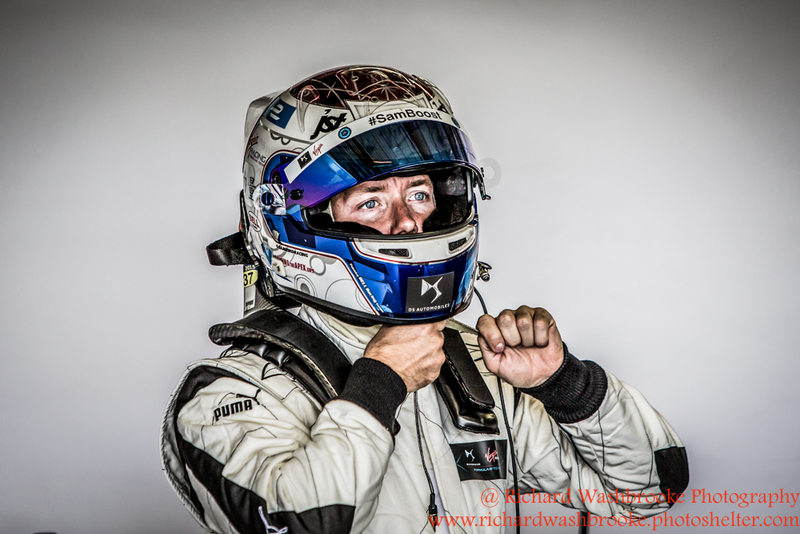 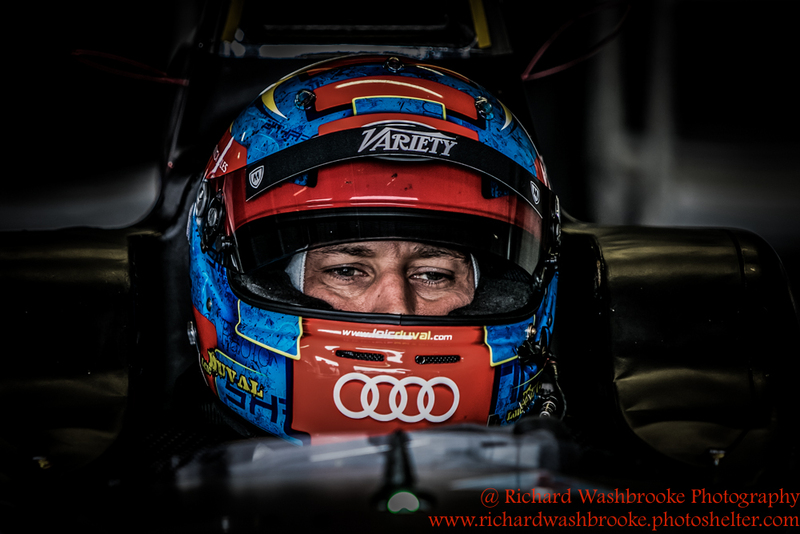 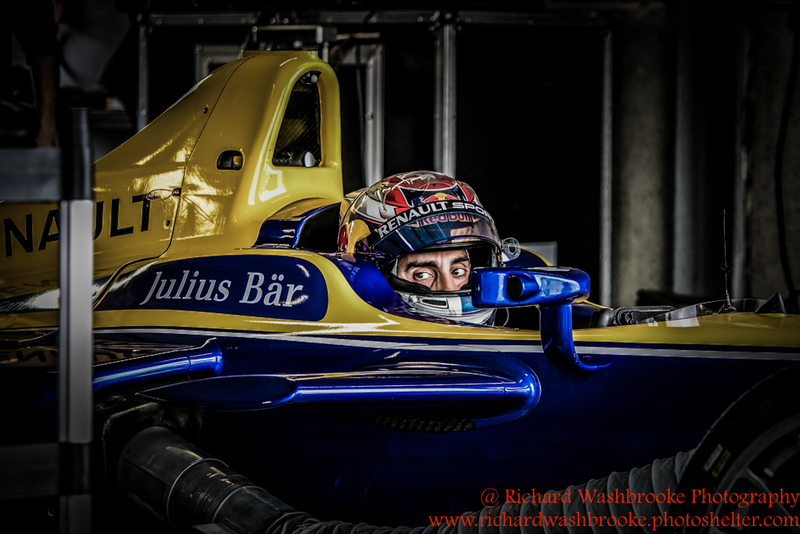 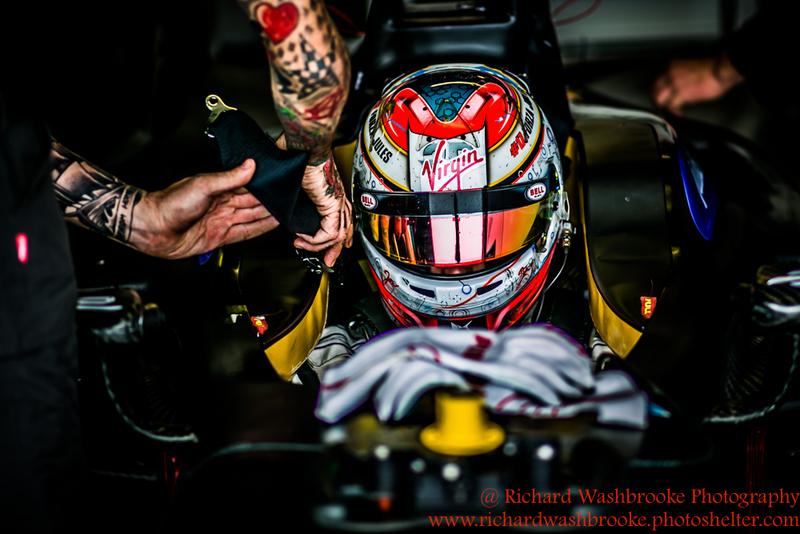 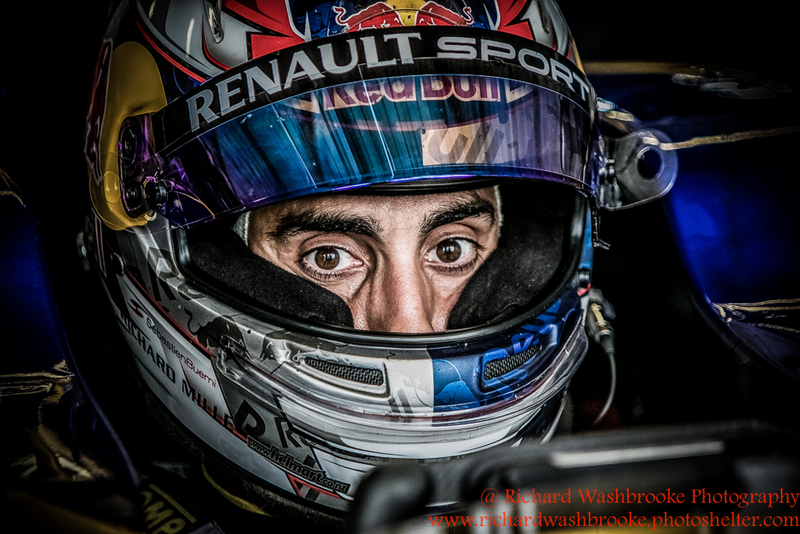 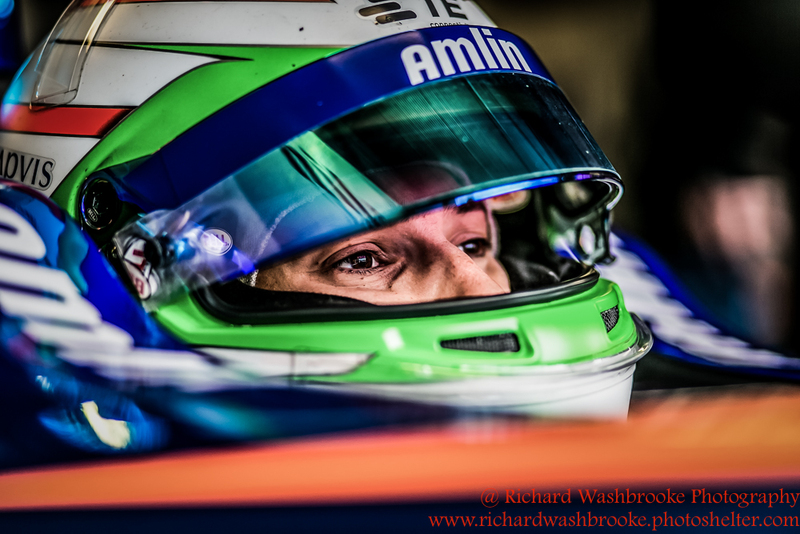 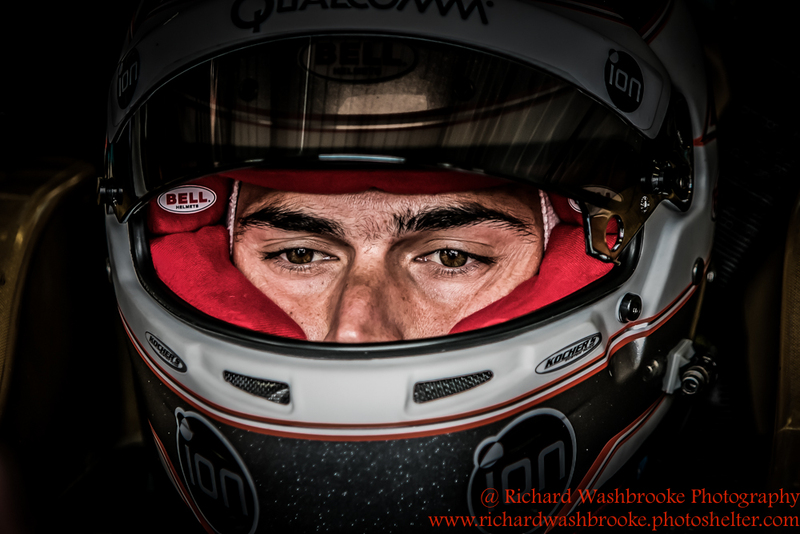 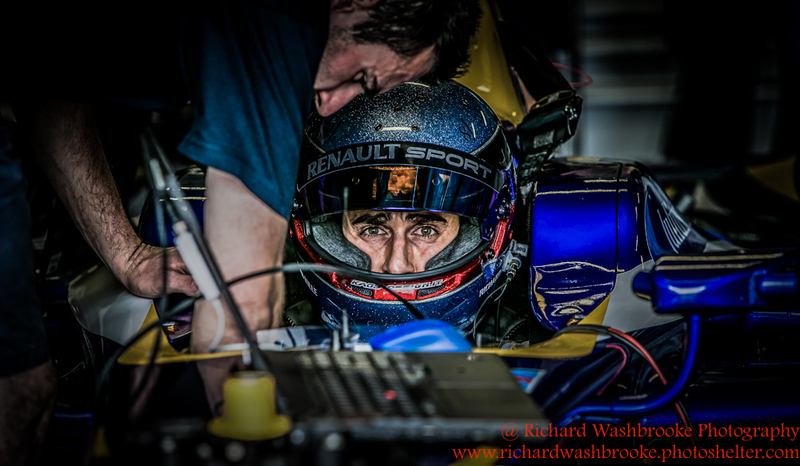 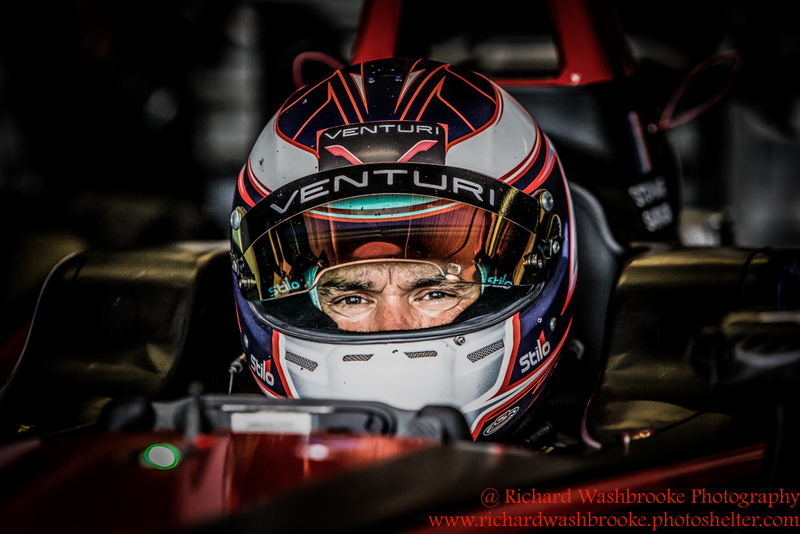 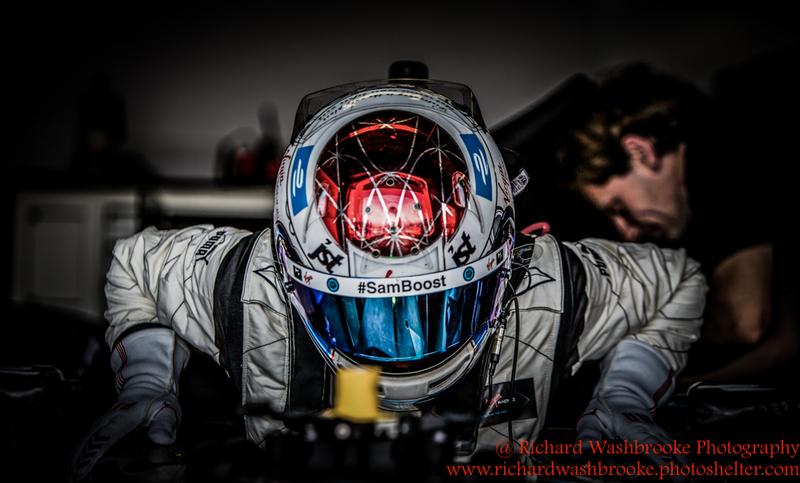 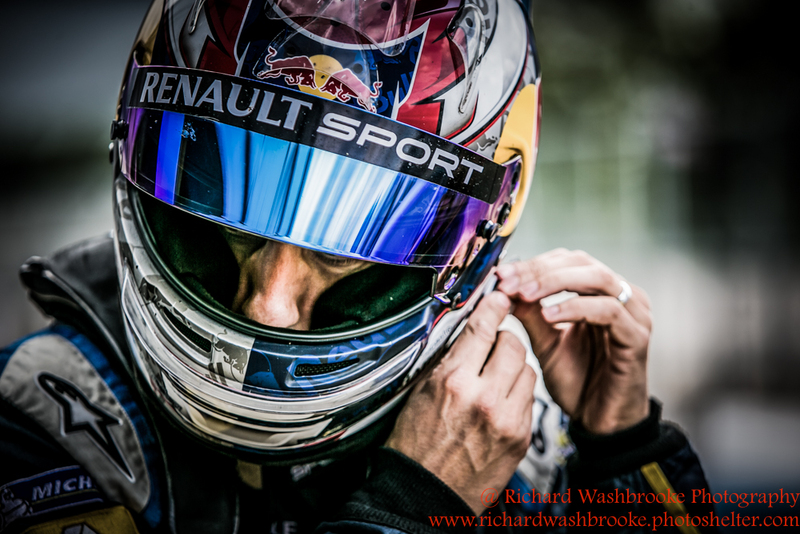 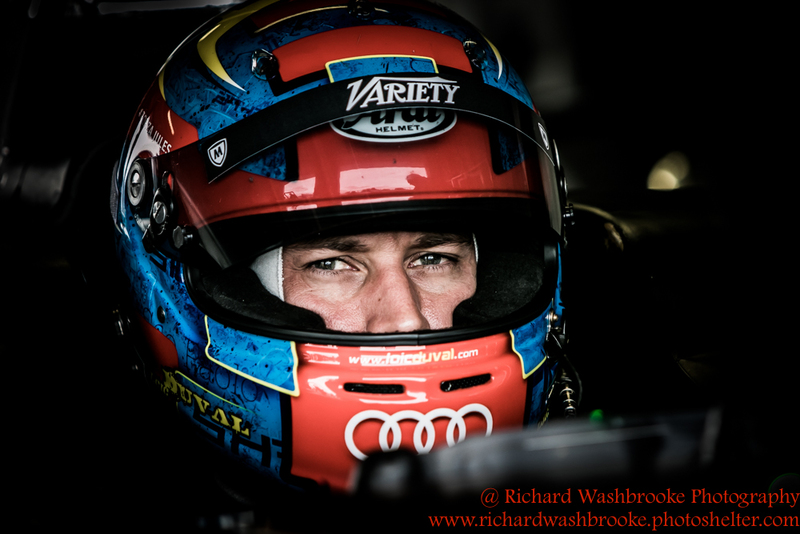 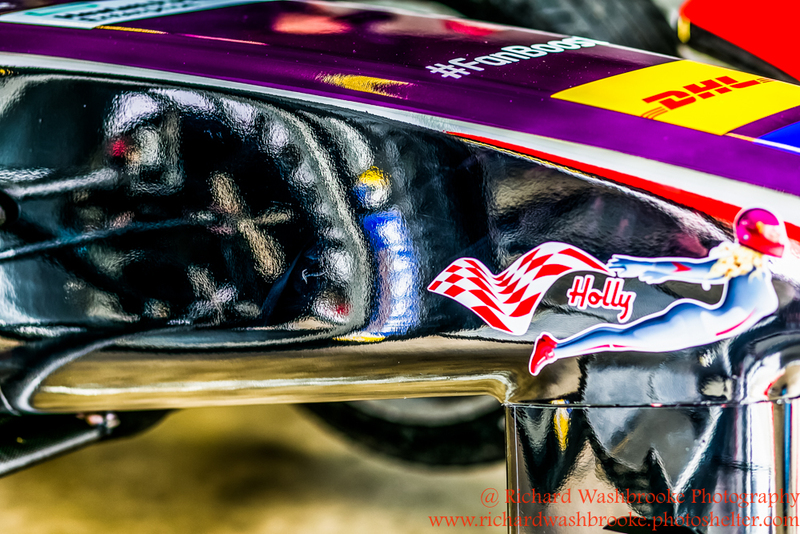 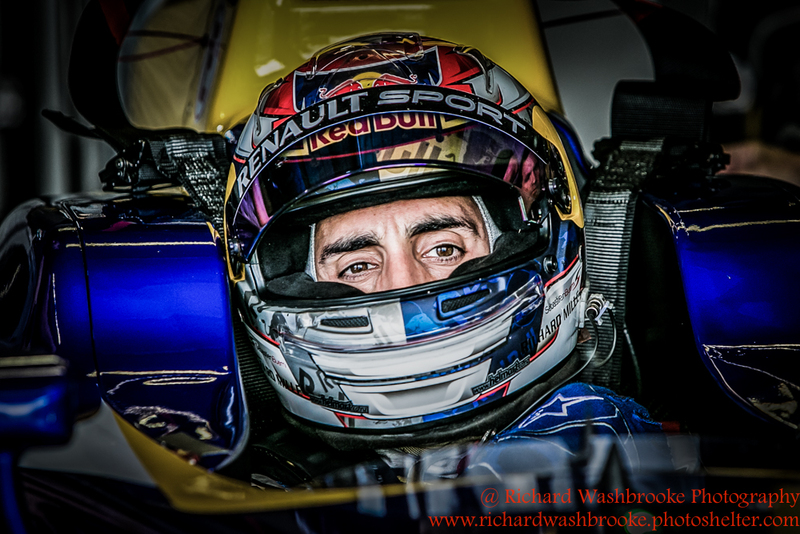 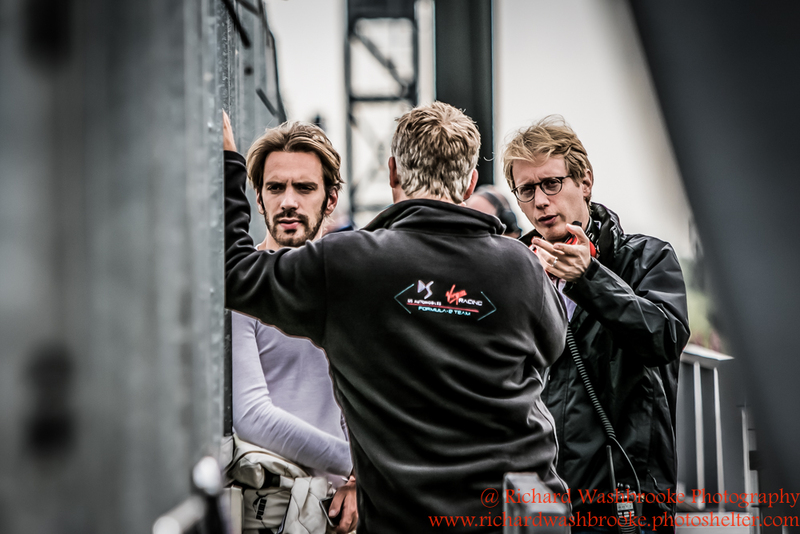 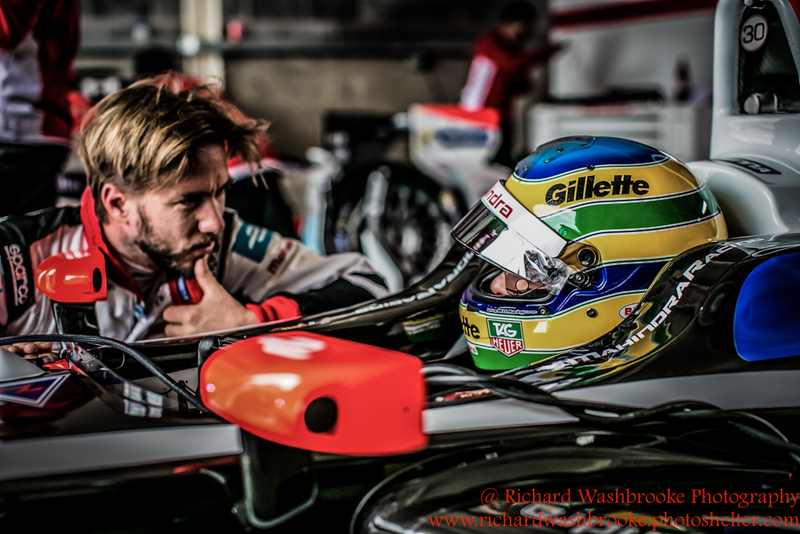 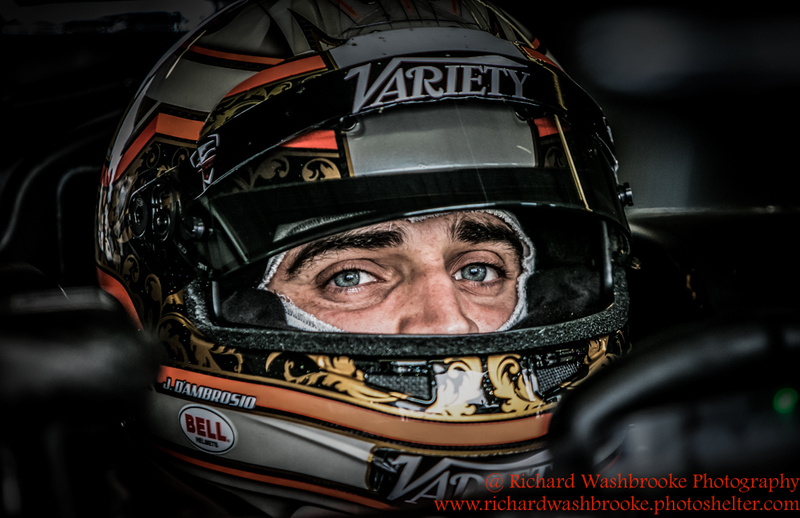 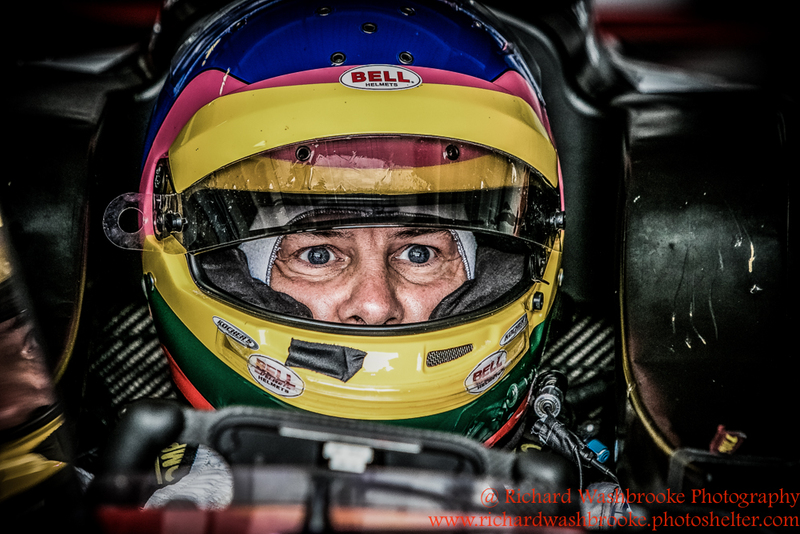 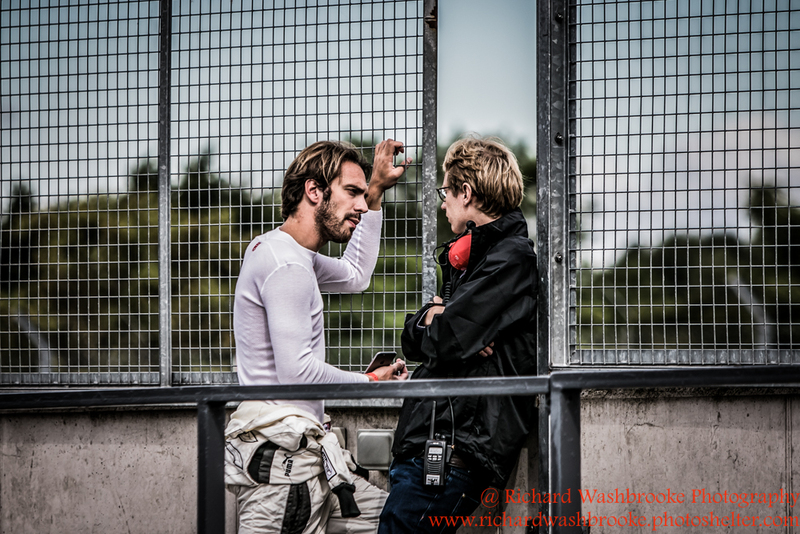 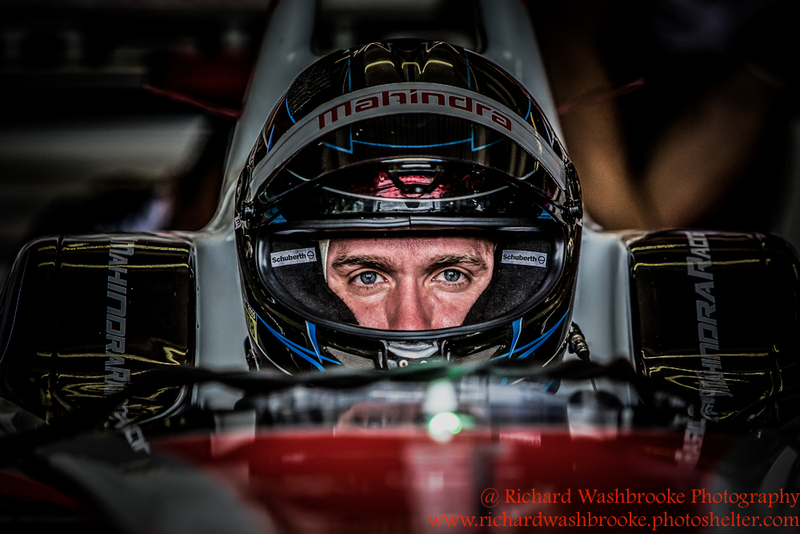 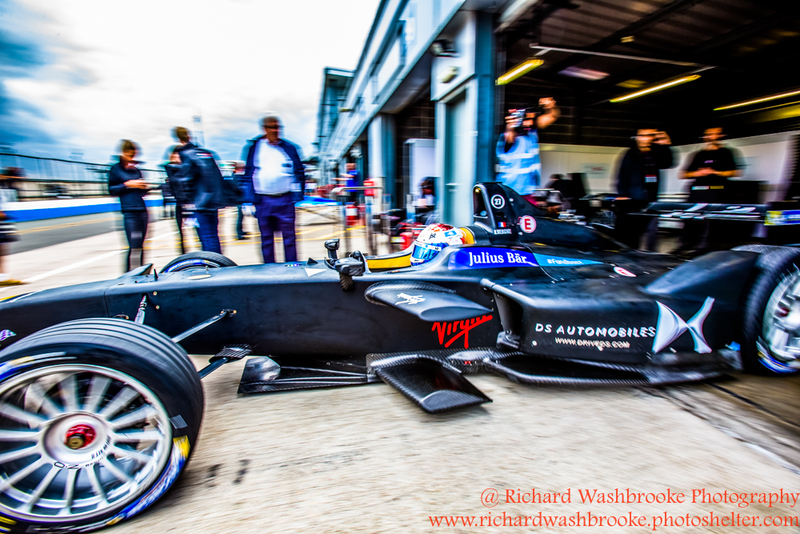 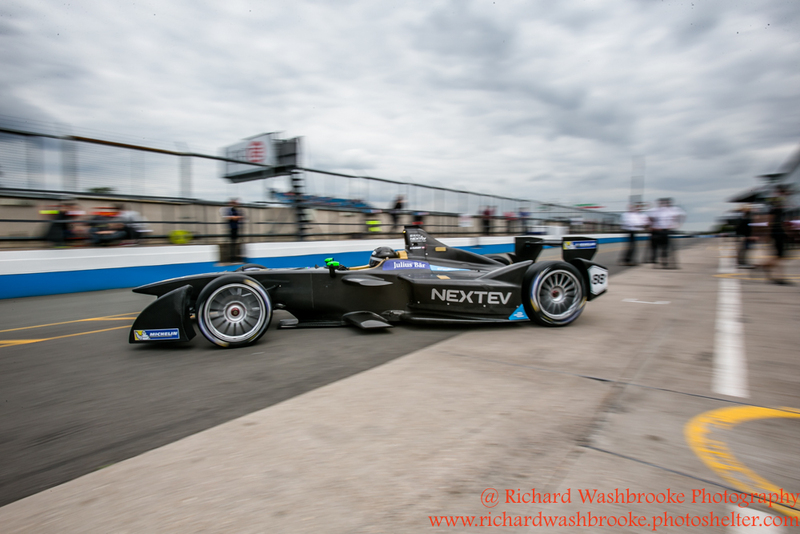 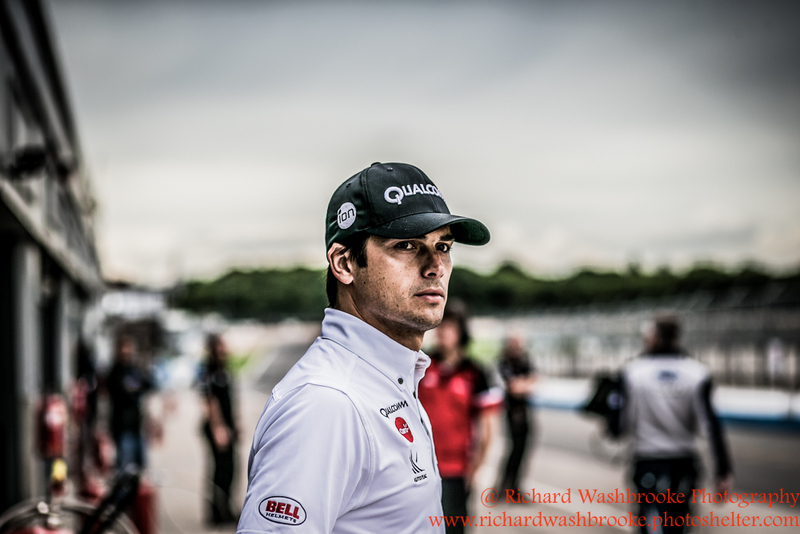 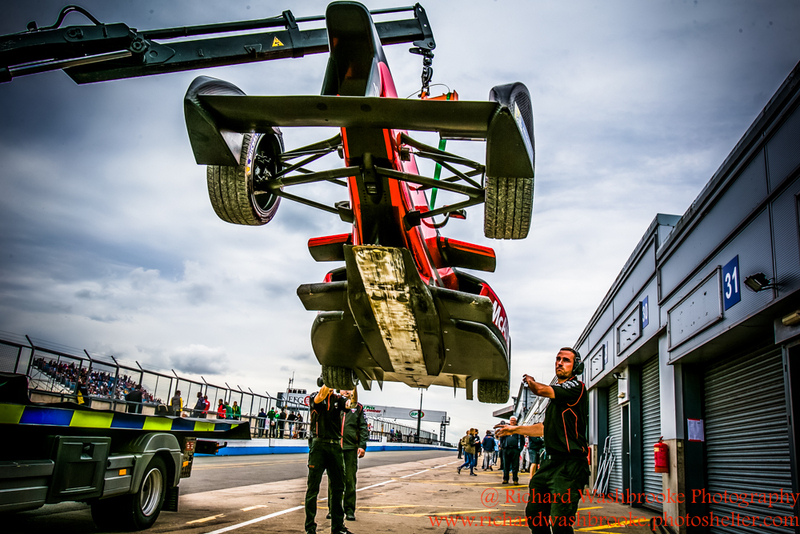 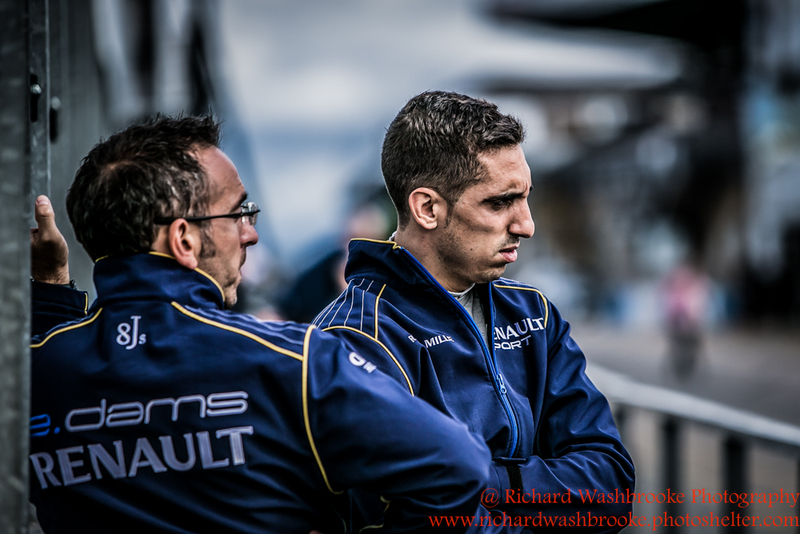 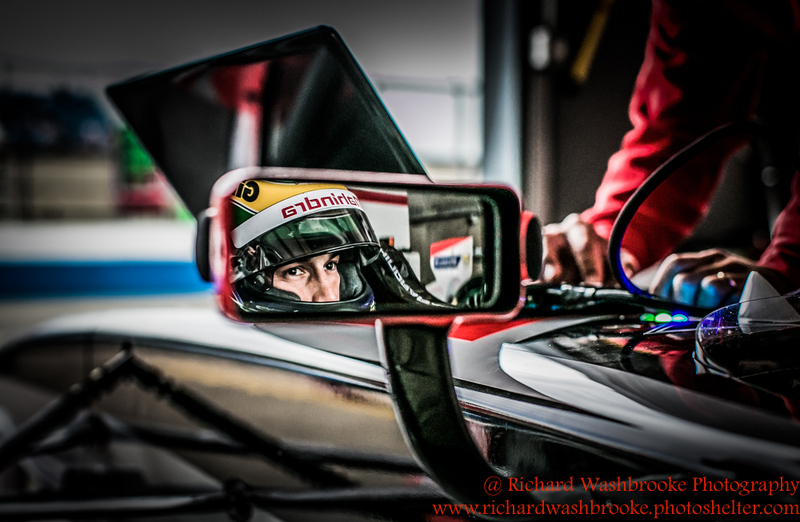 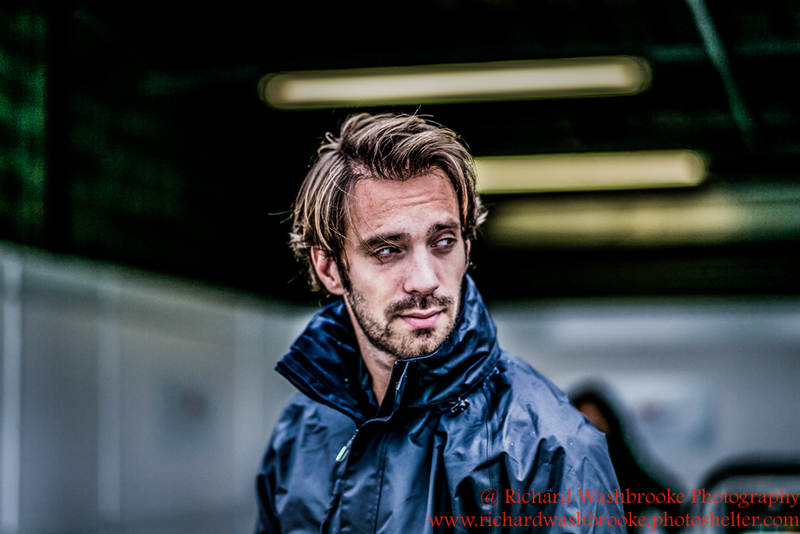 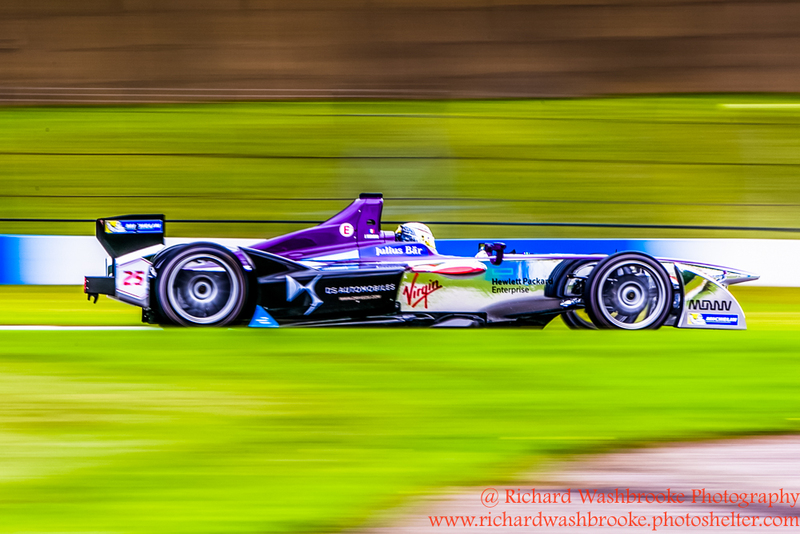 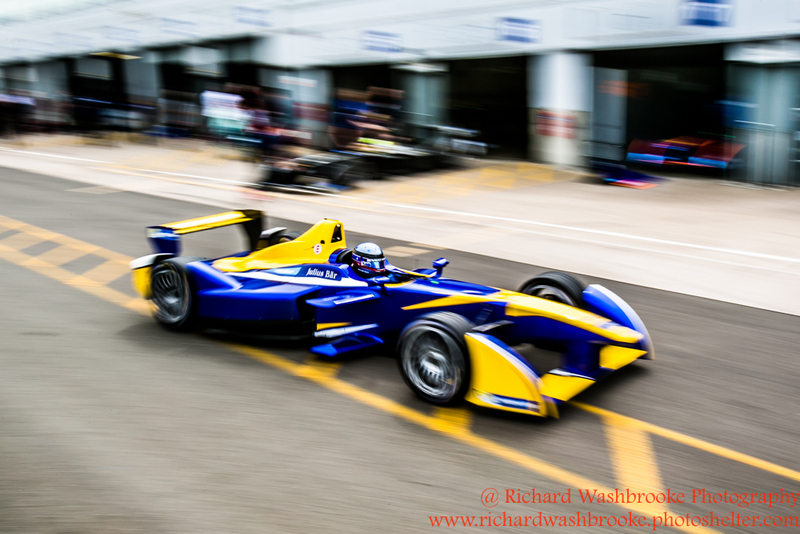 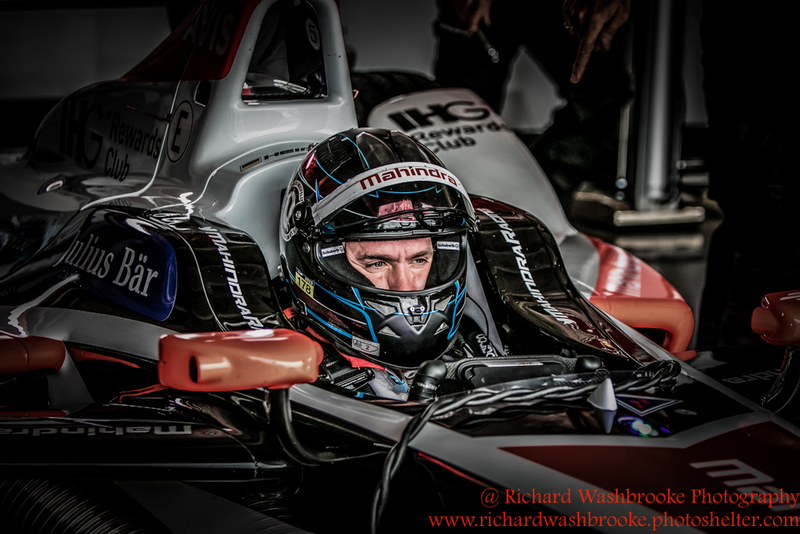 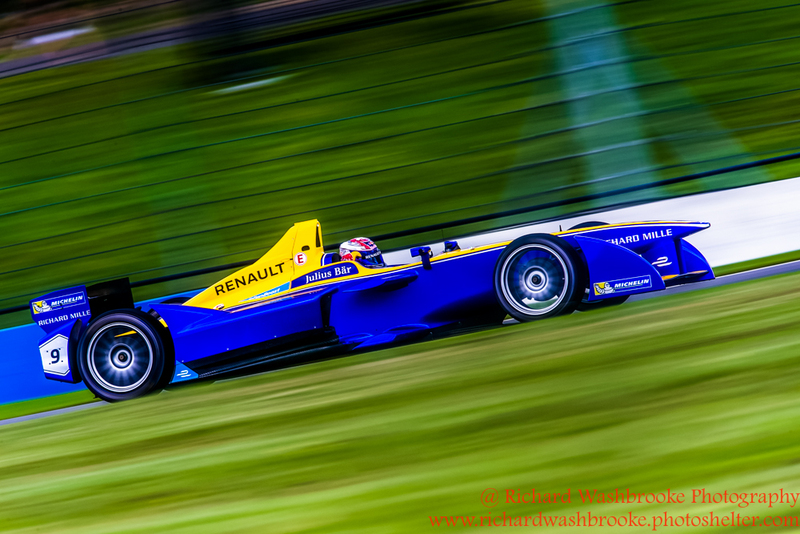 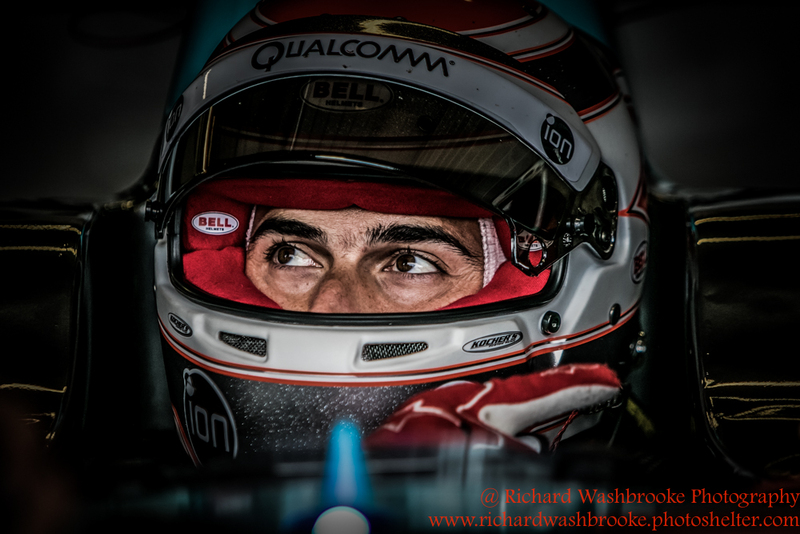 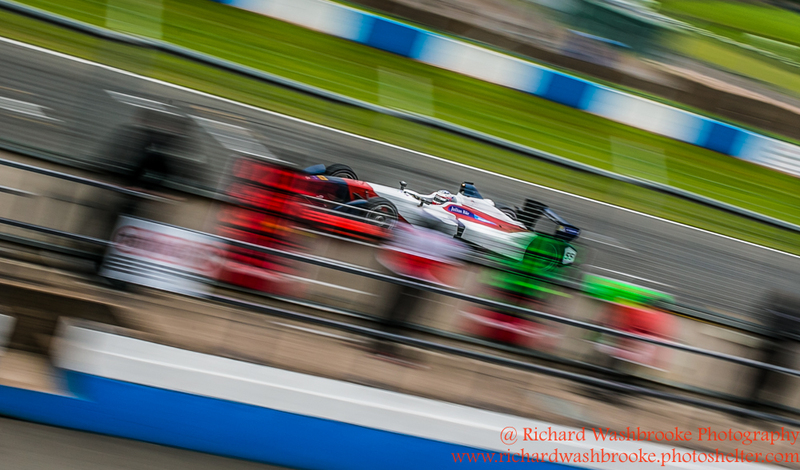 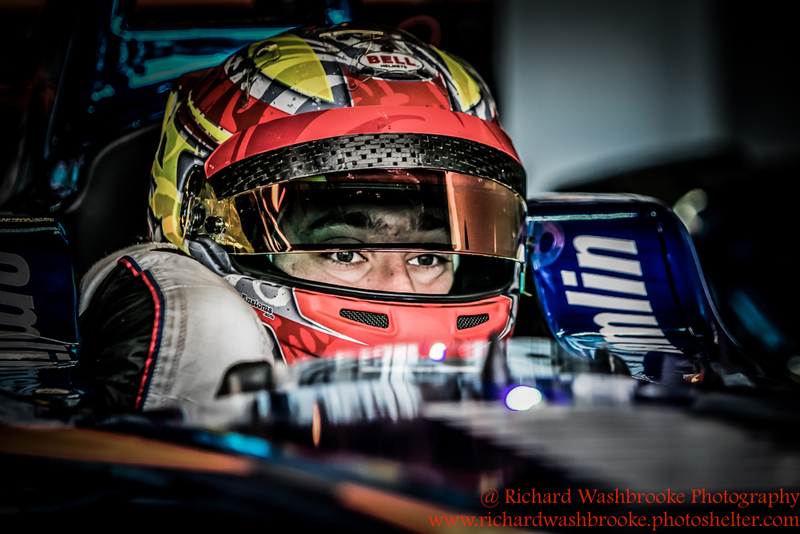 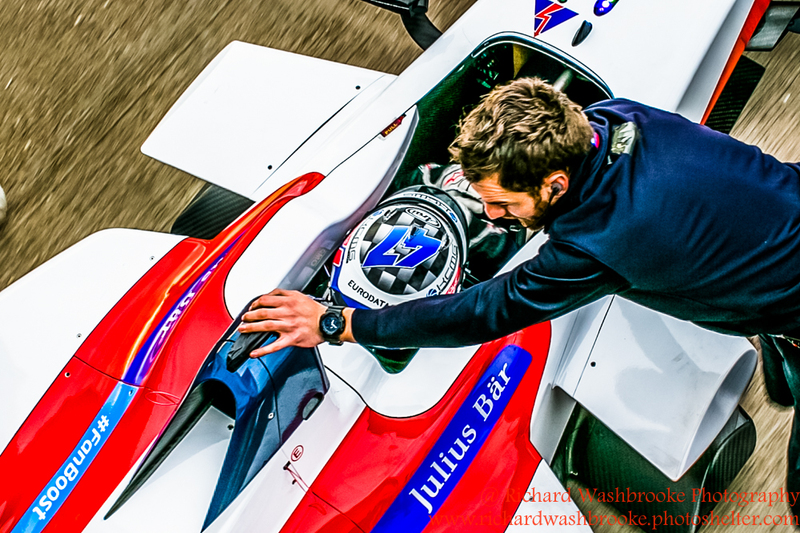 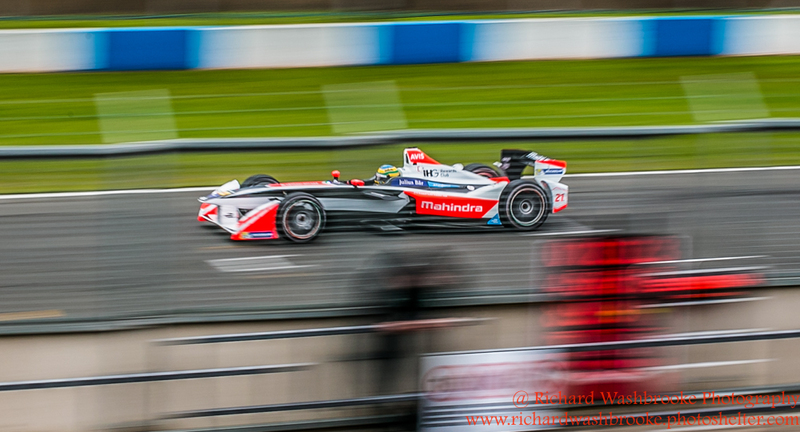 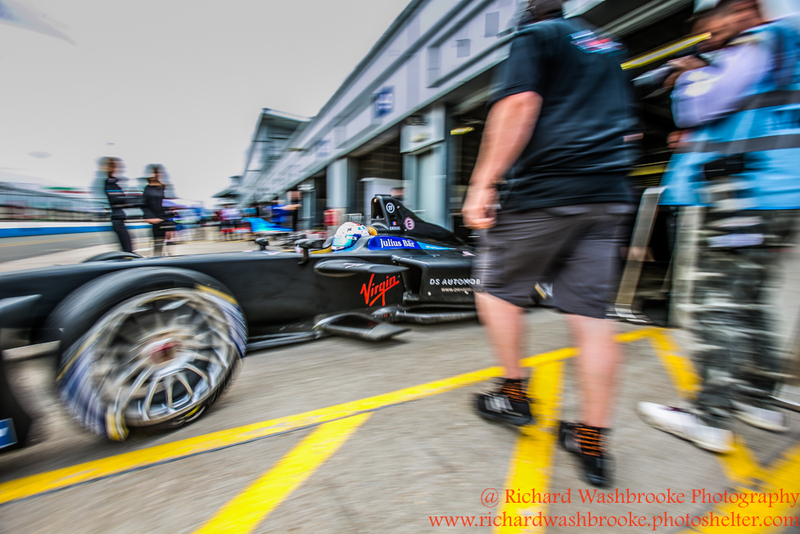 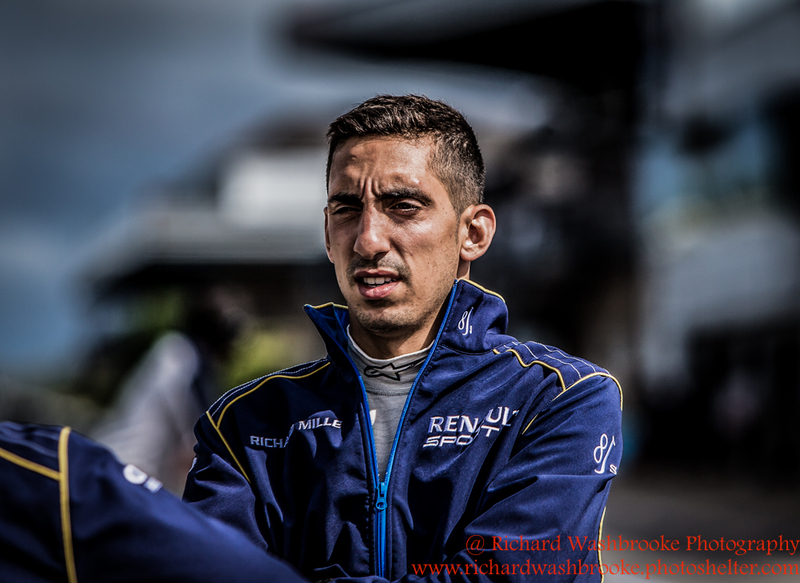 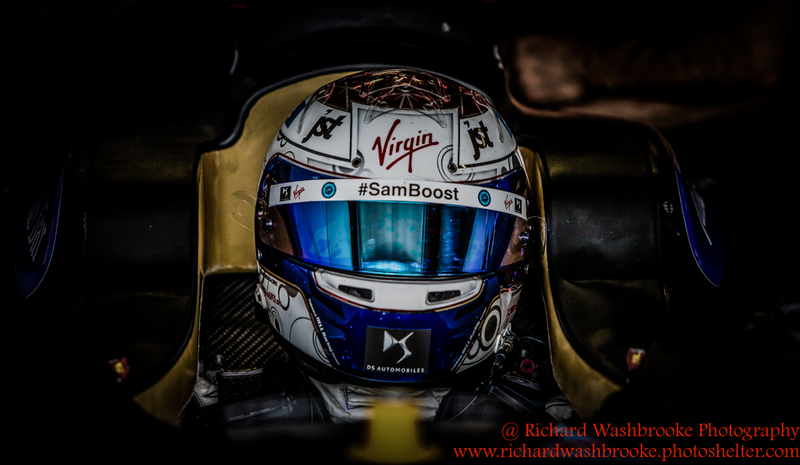 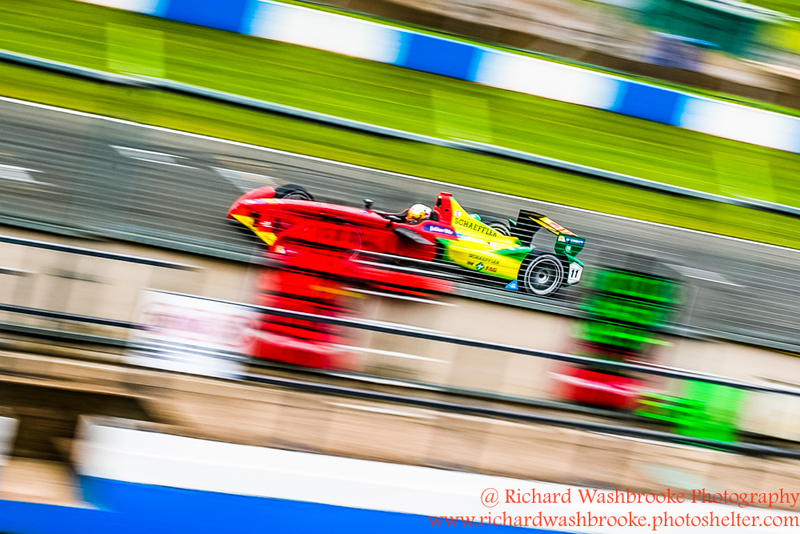 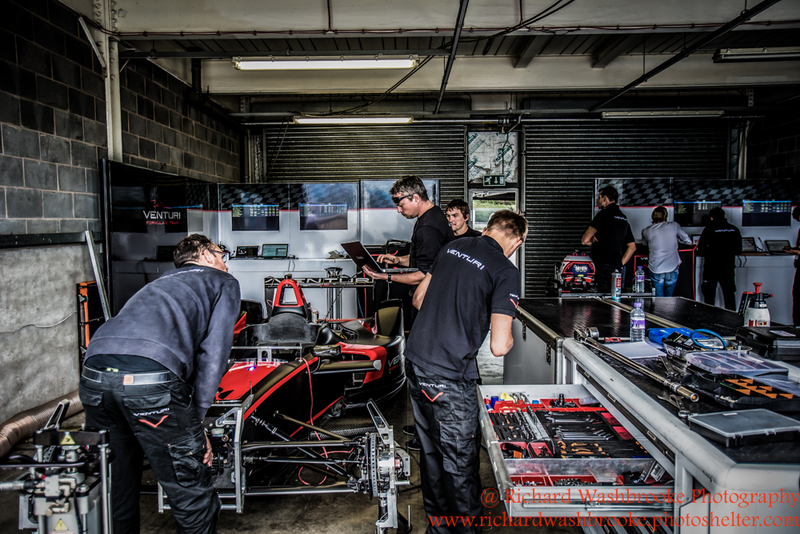 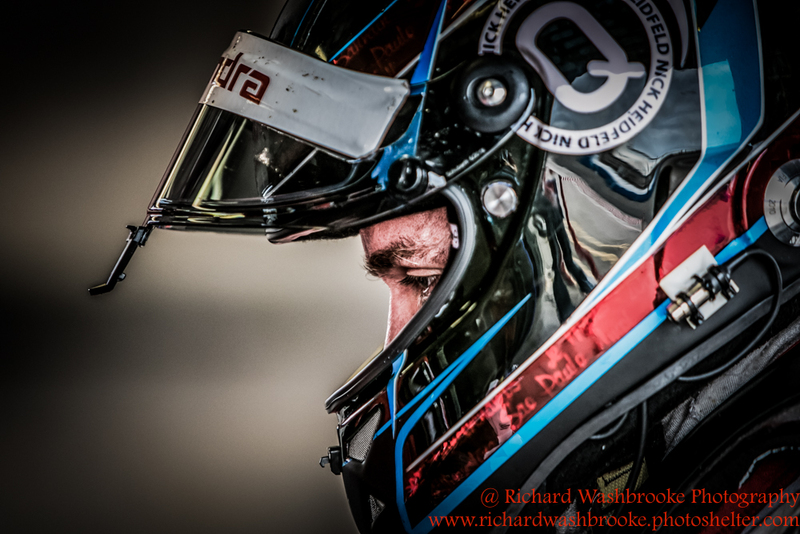 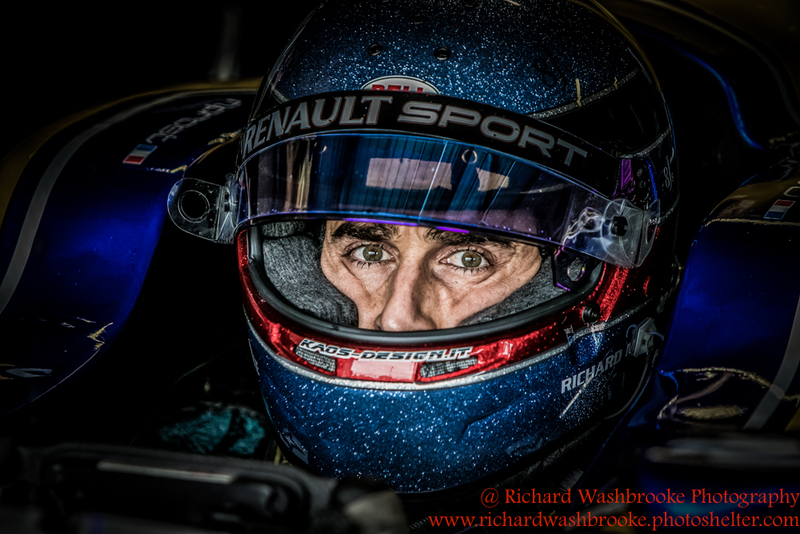 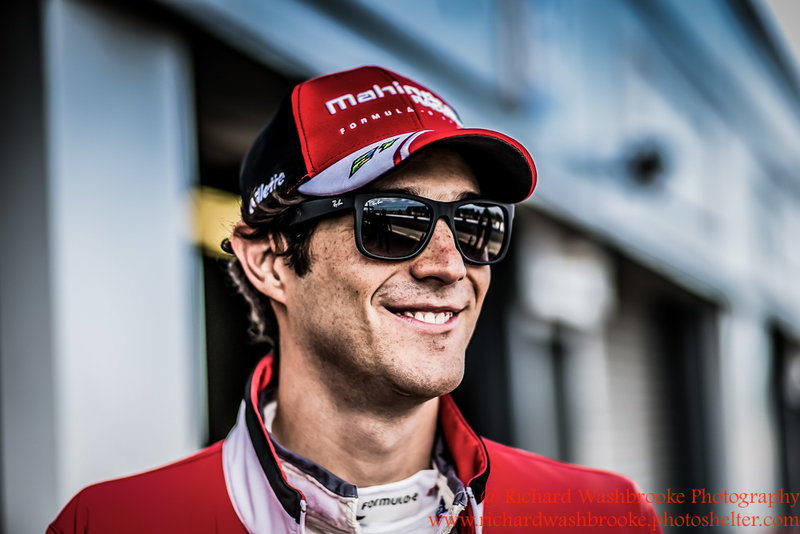 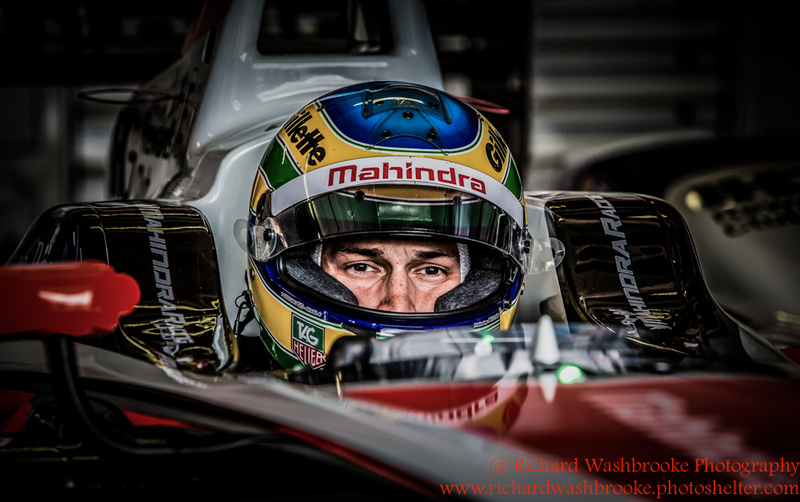 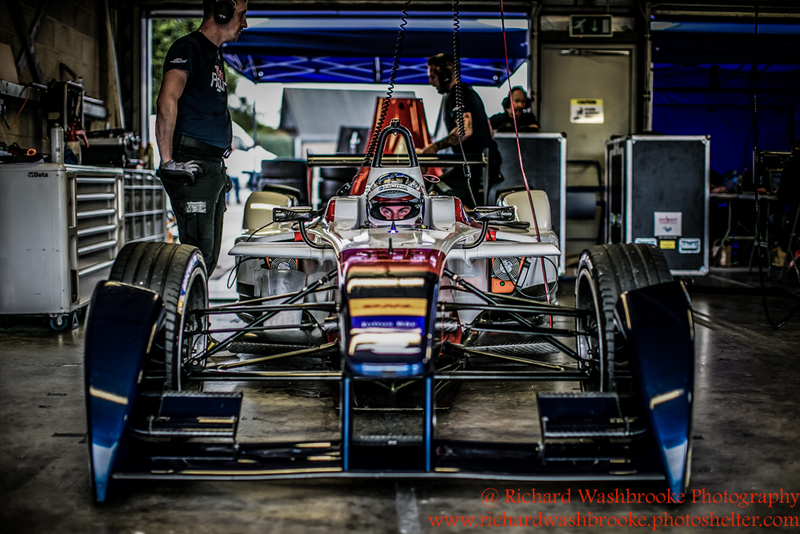 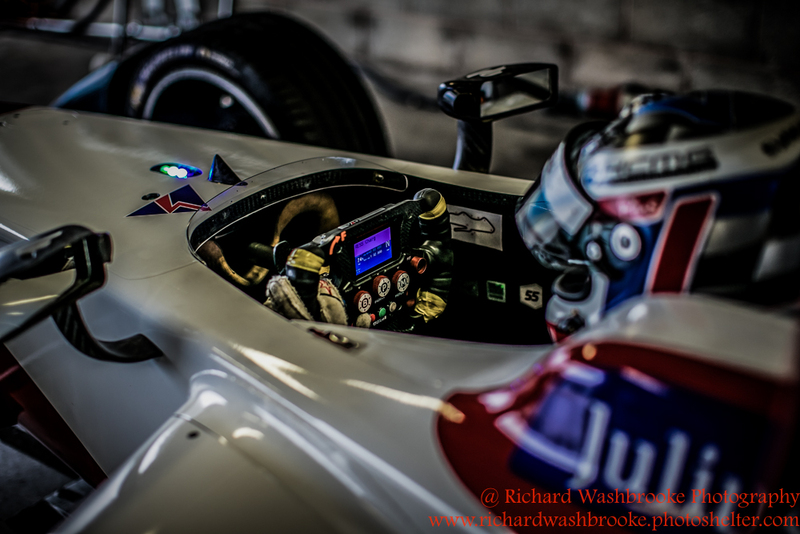 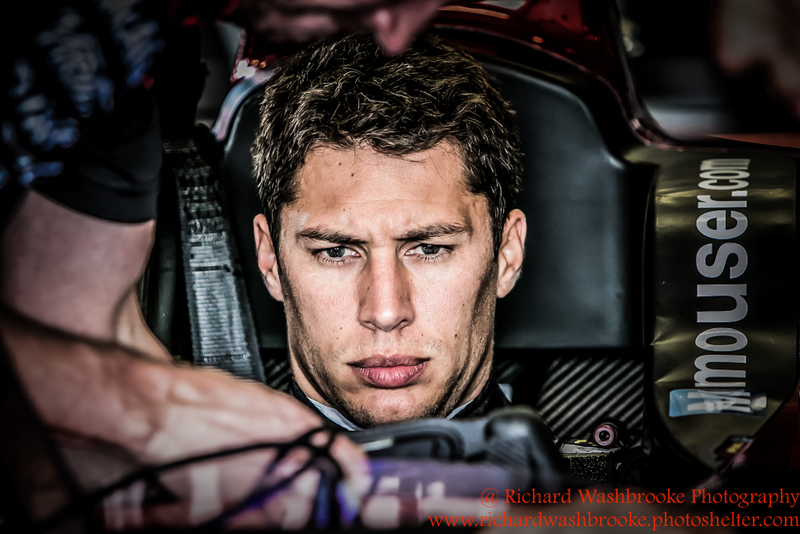 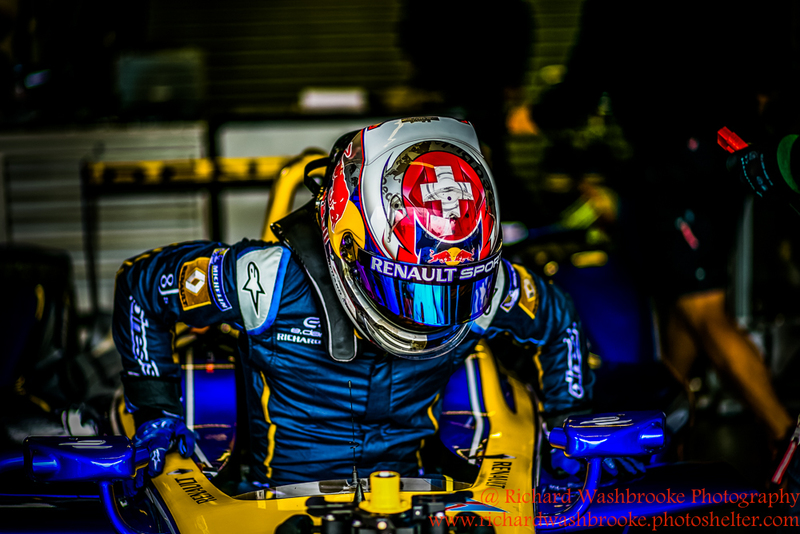 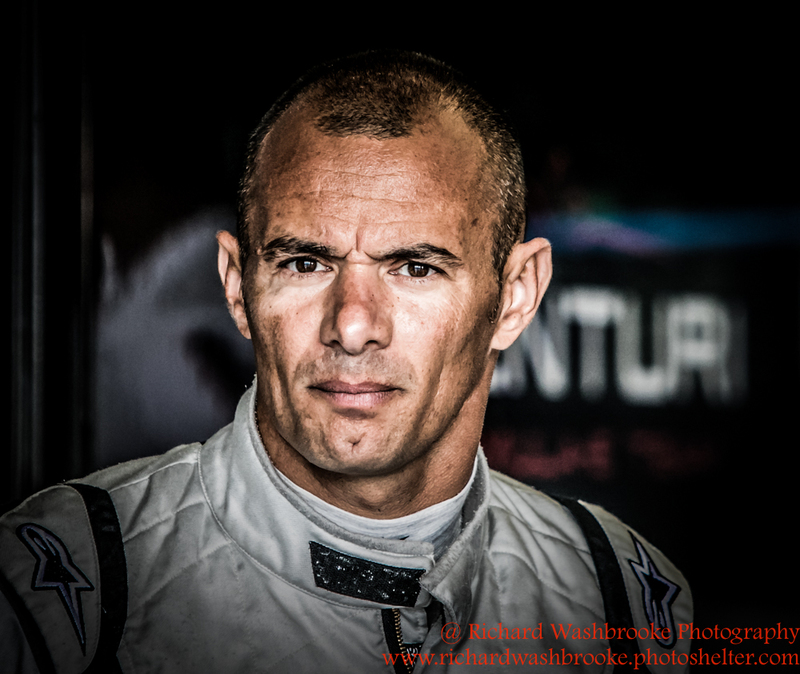 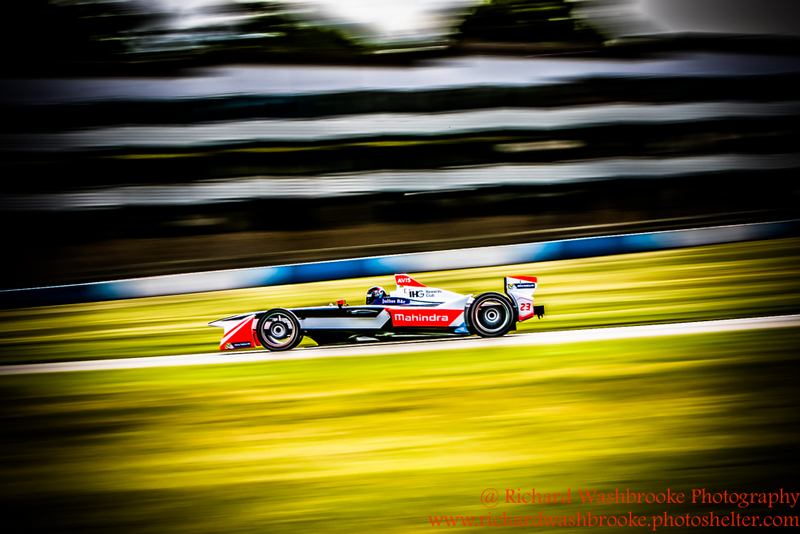 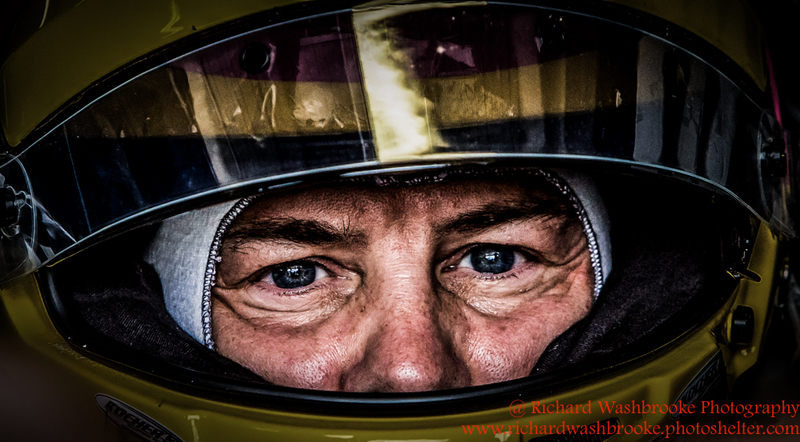 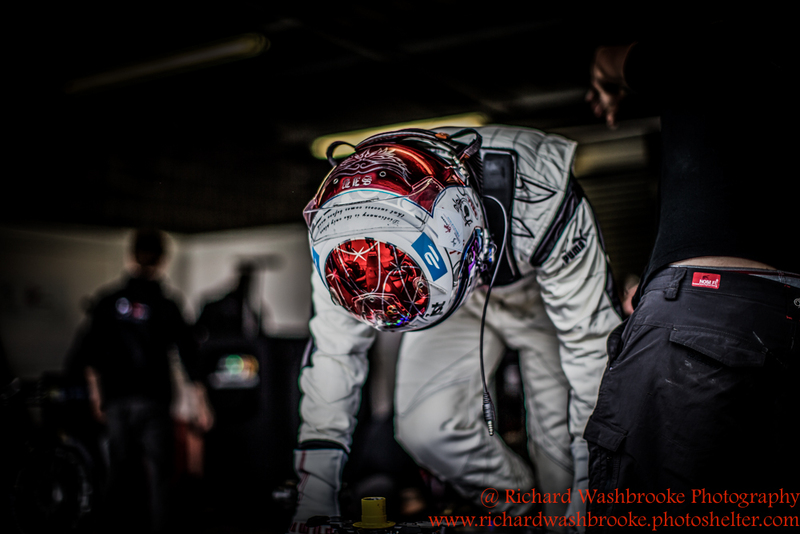 Enclosing images from Test days at Donington Park; garage, pits and out on the circuit. 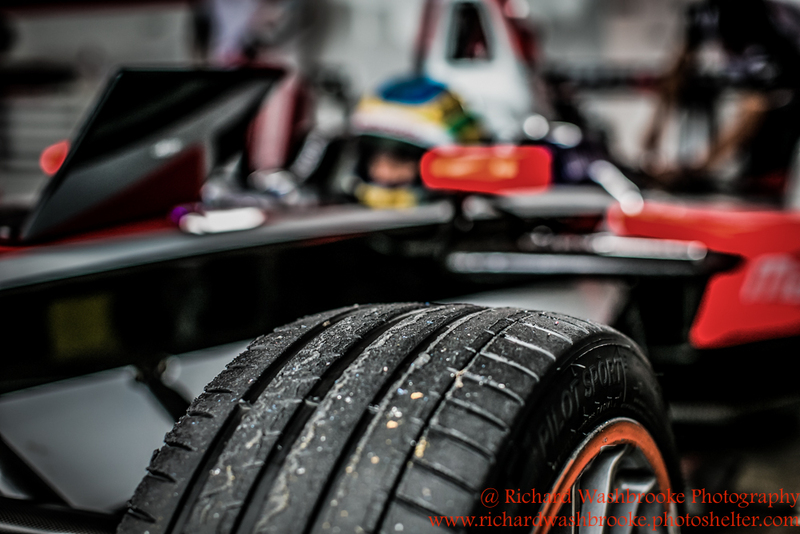 Covering all the teams and the drivers. 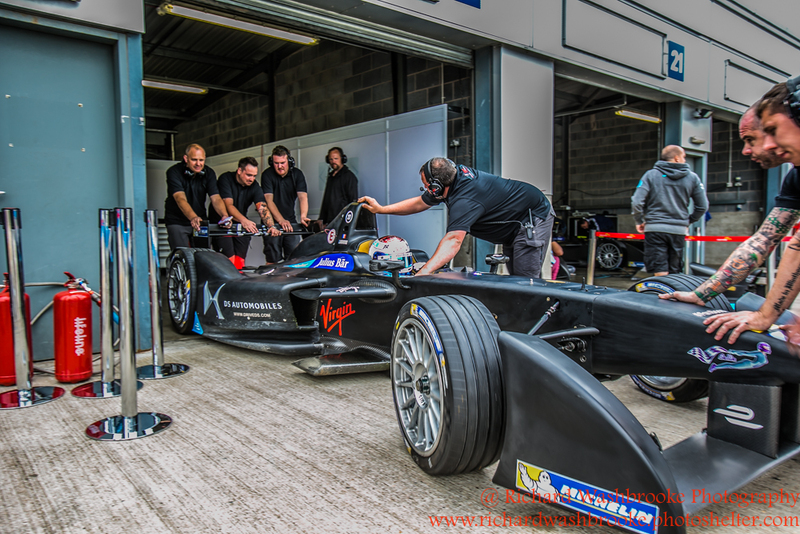 Great opportunity to do a bit of networking.